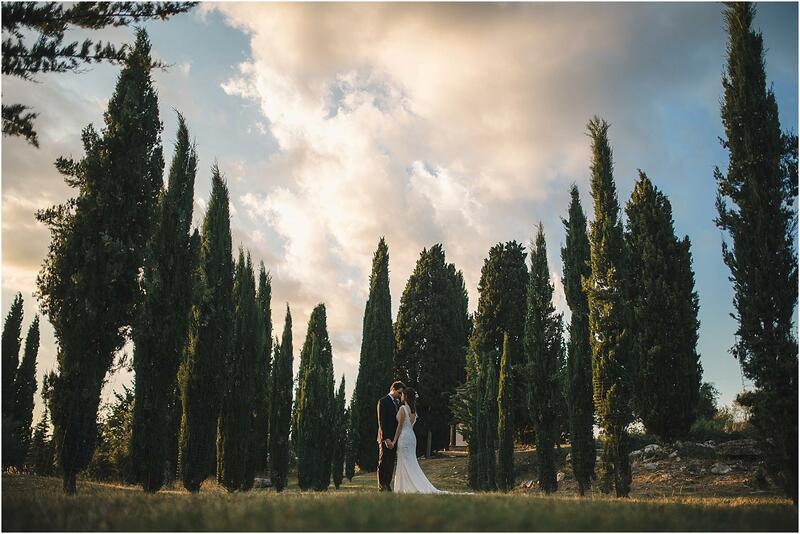 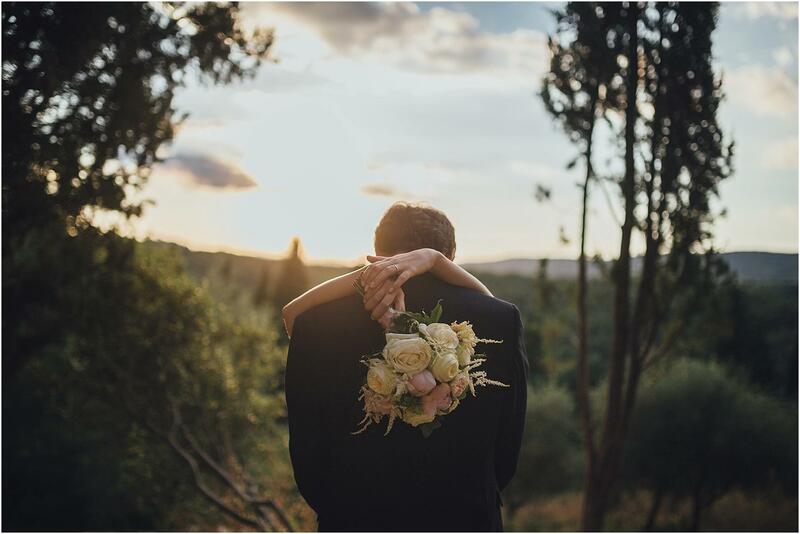 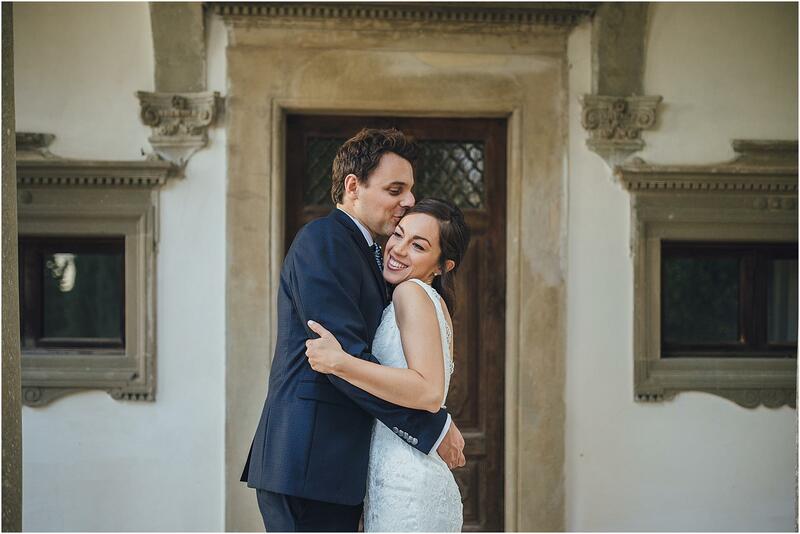 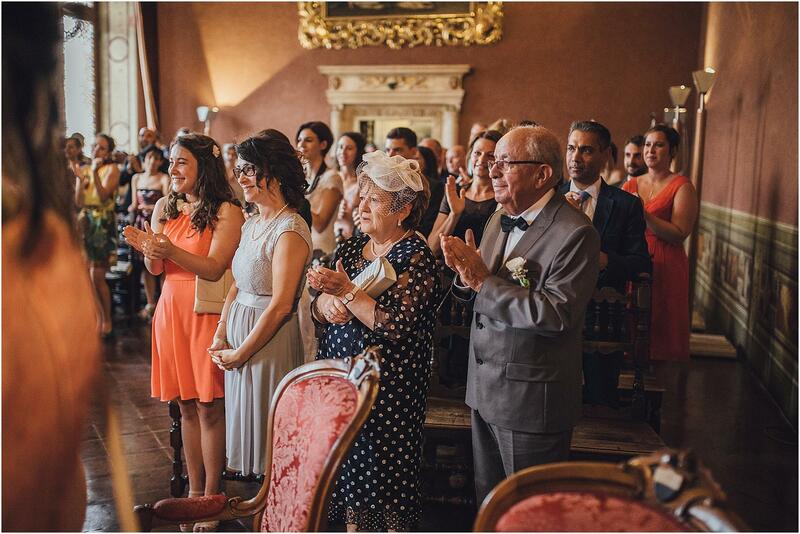 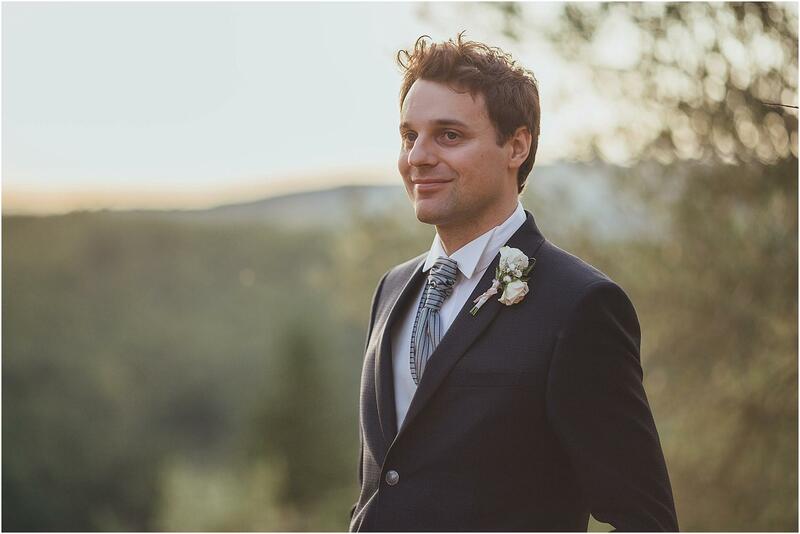 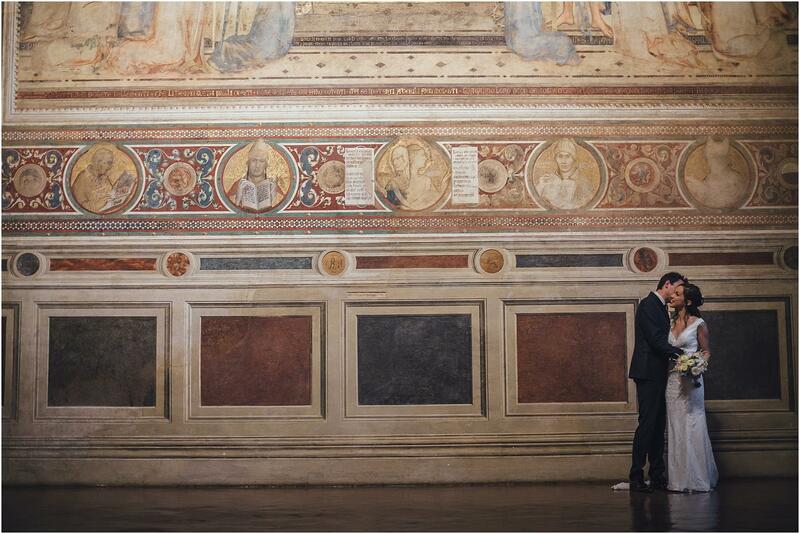 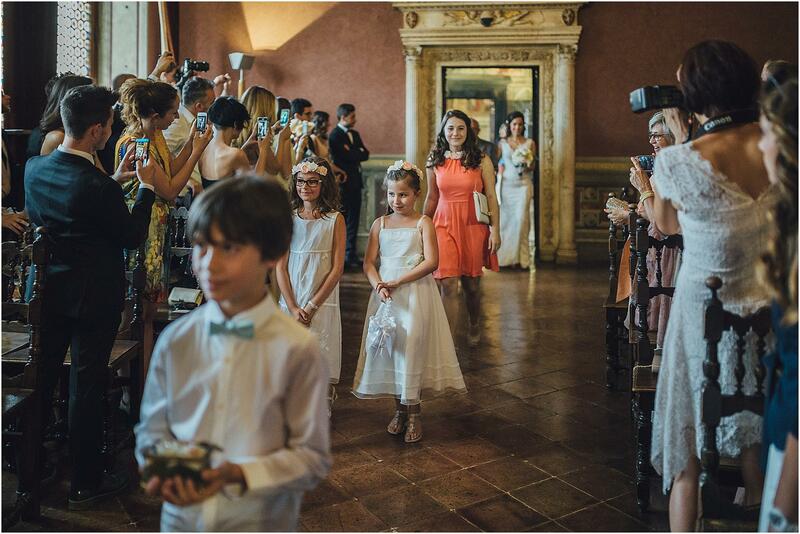 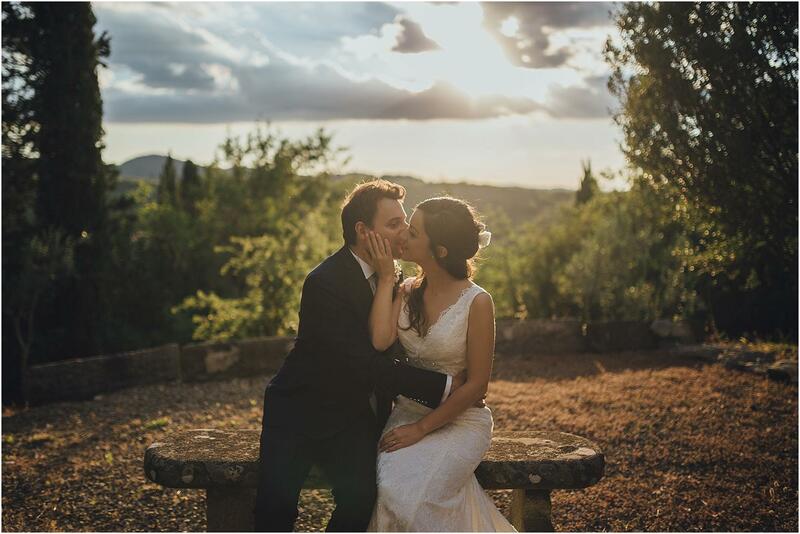 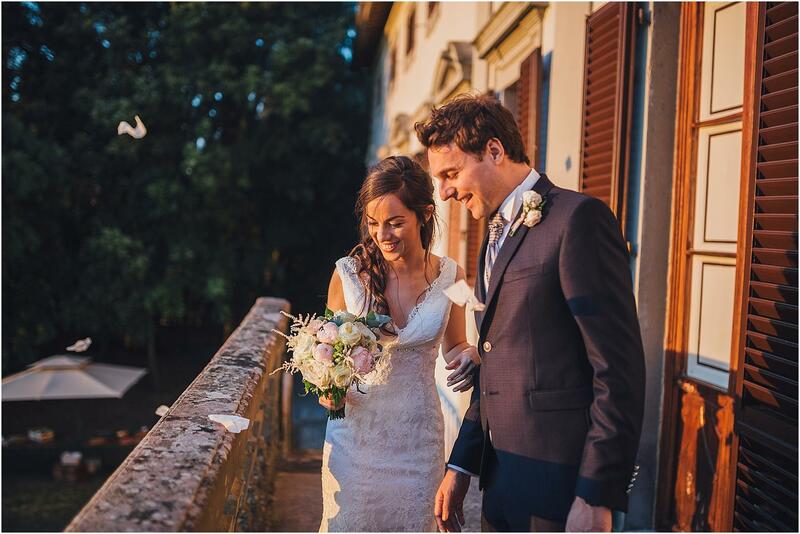 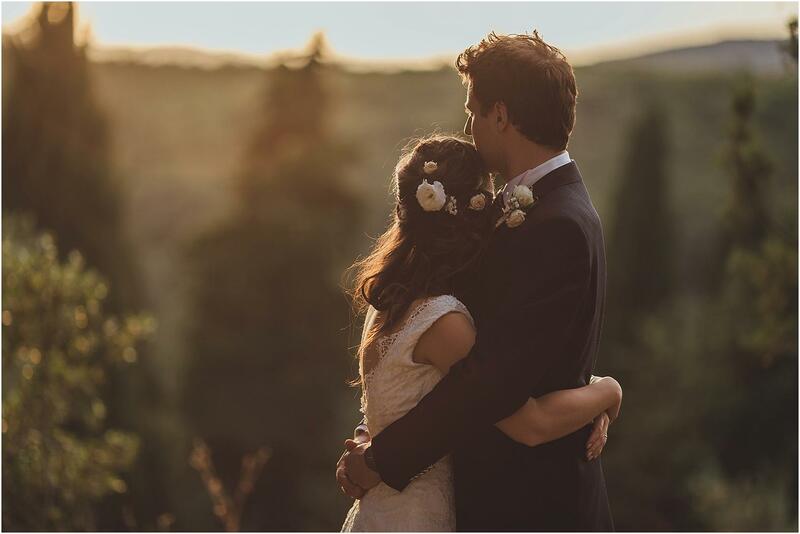 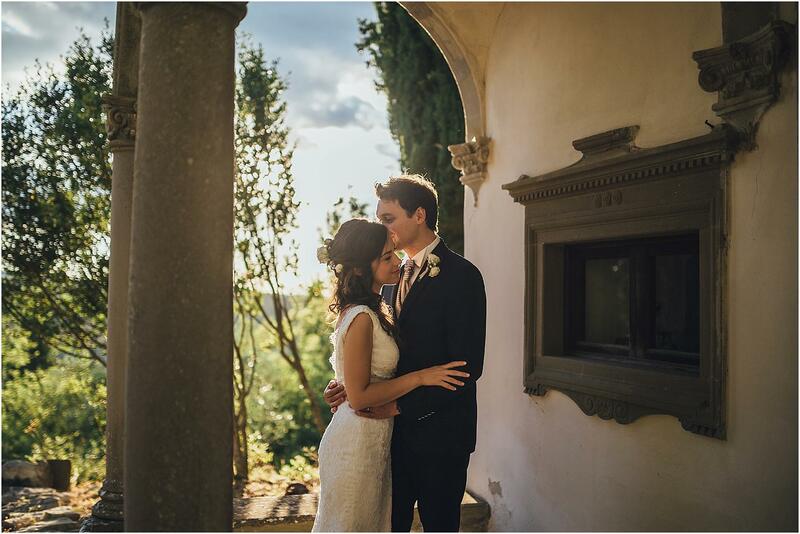 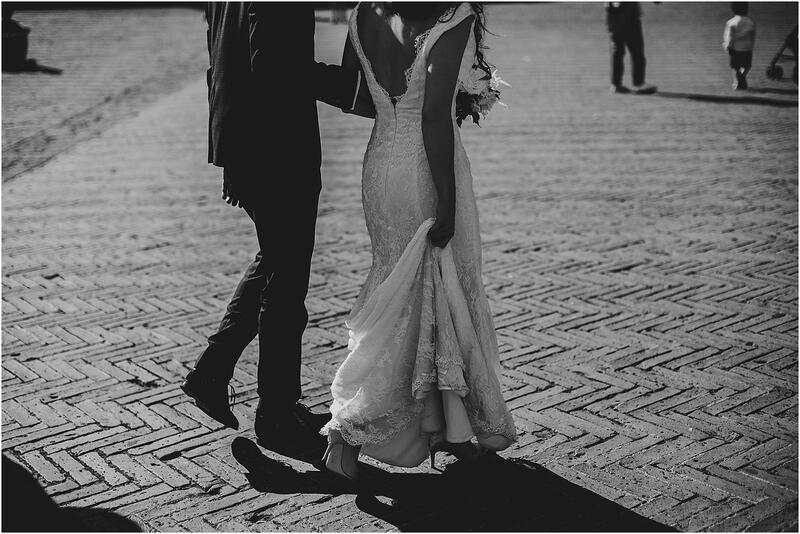 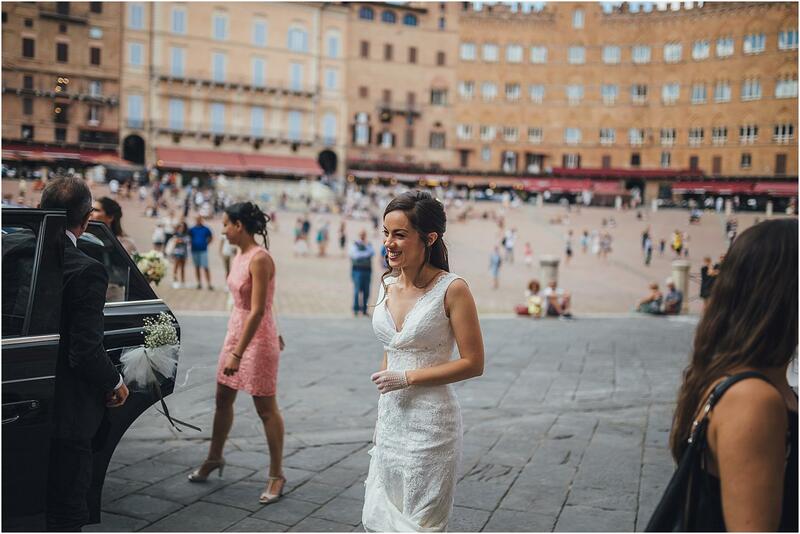 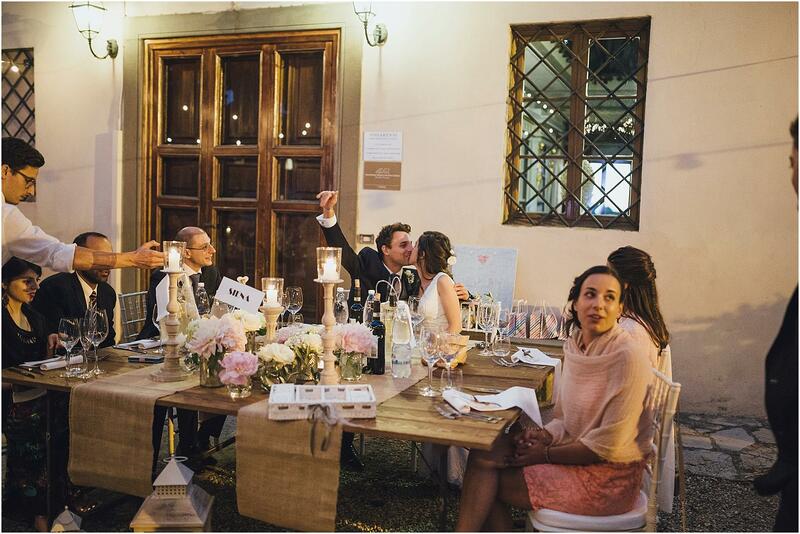 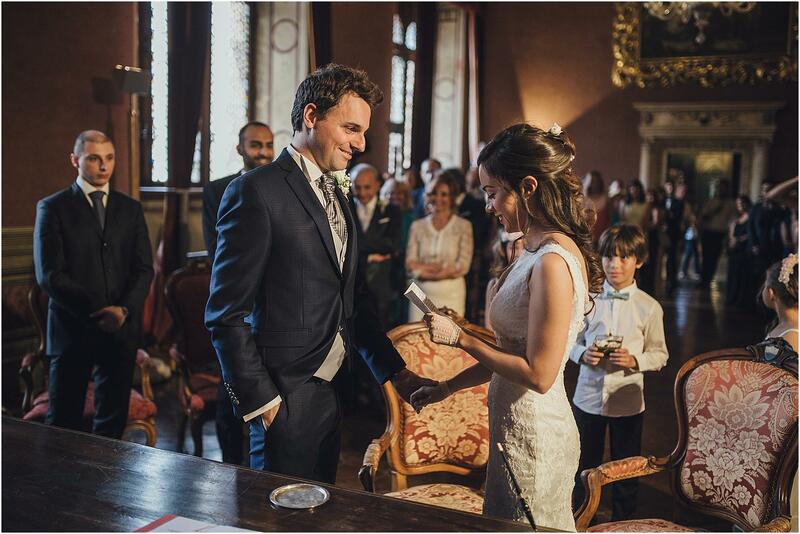 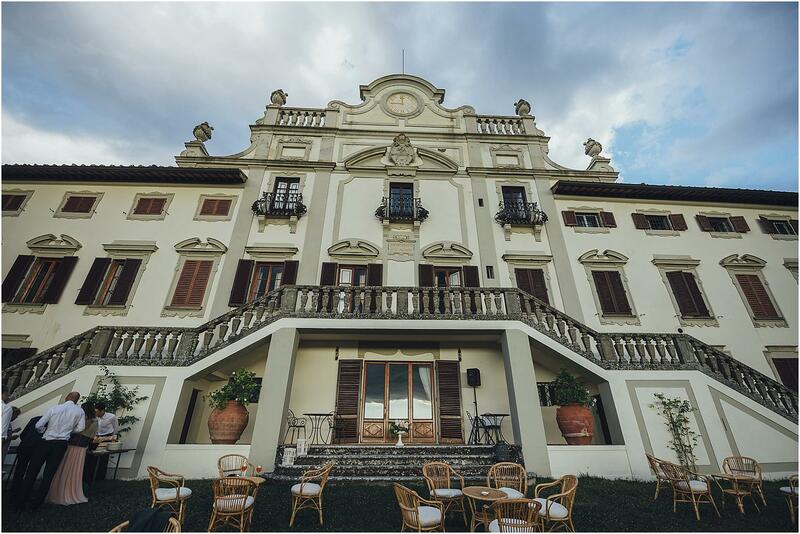 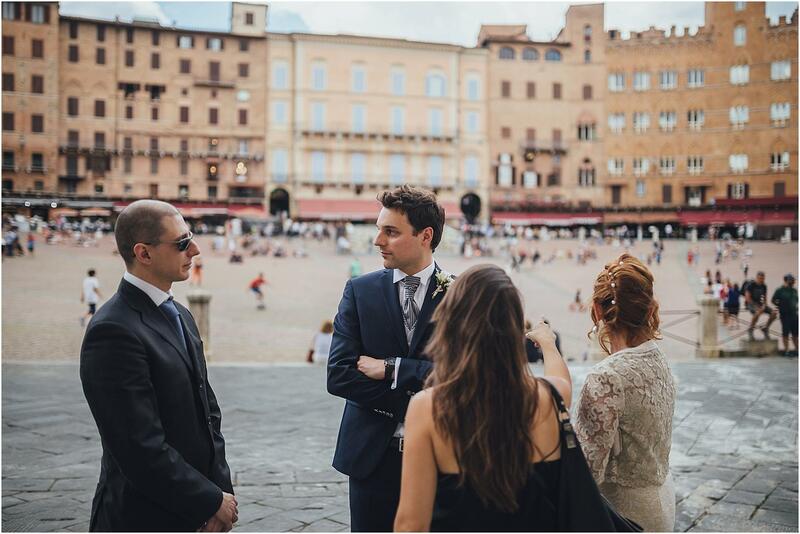 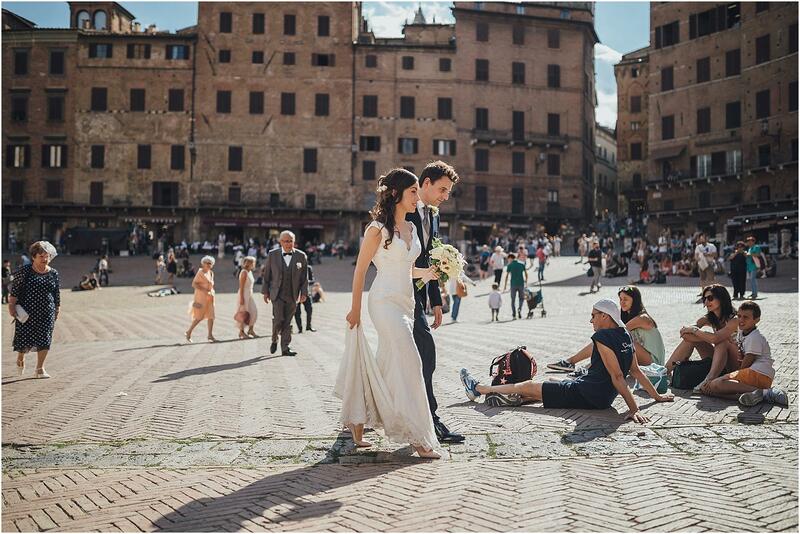 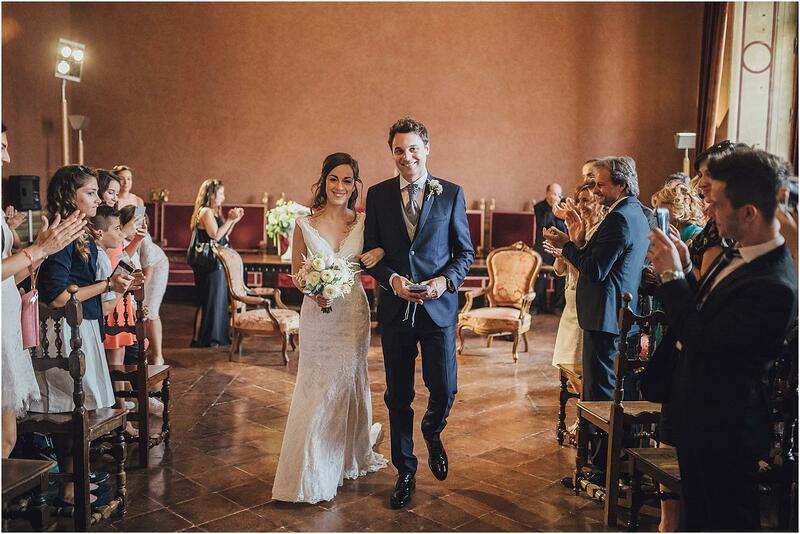 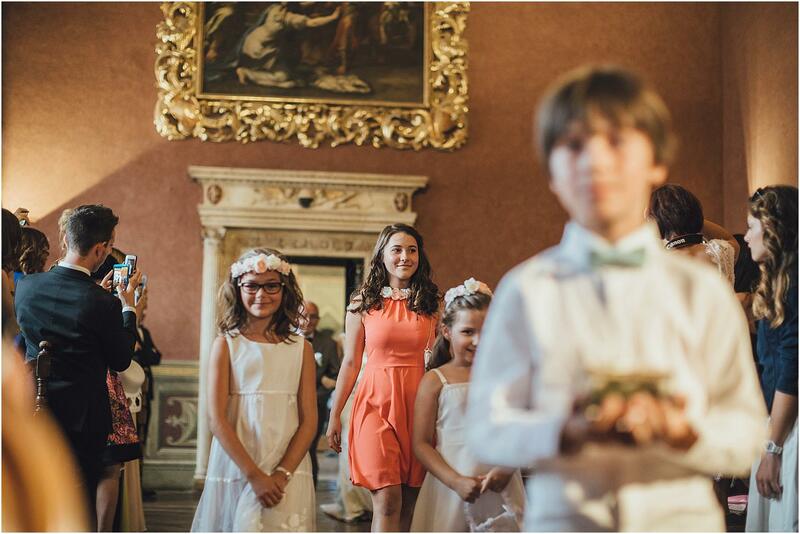 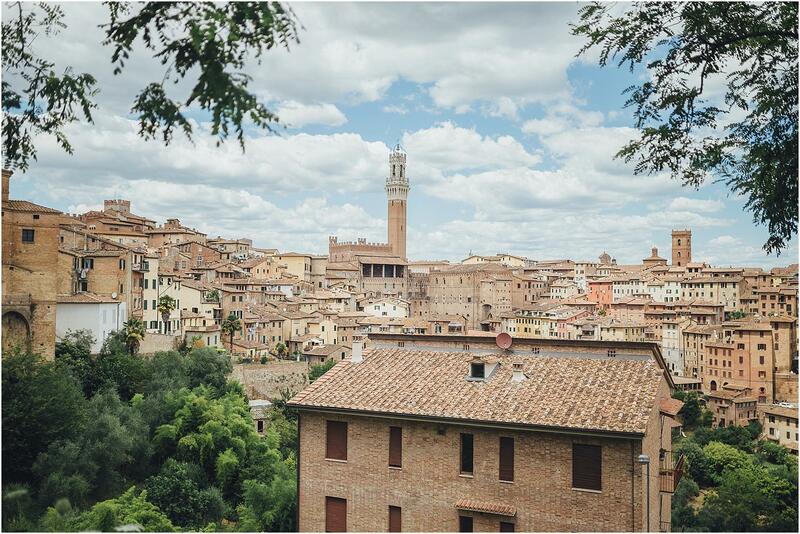 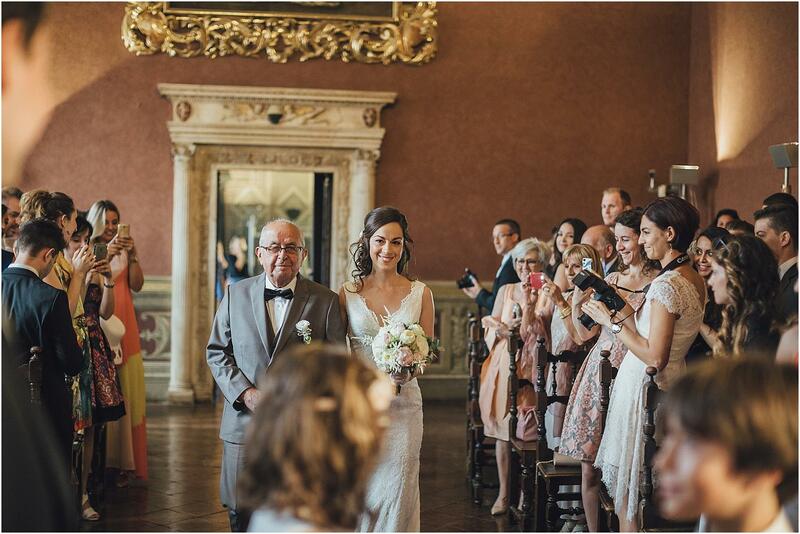 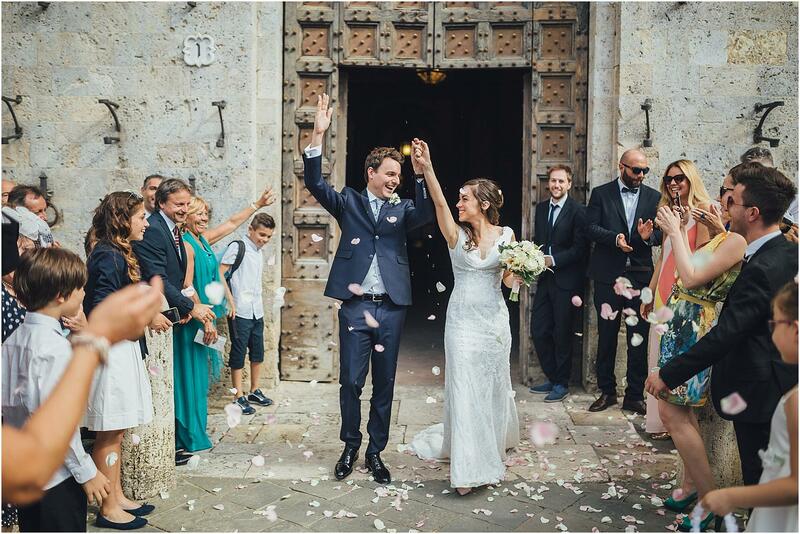 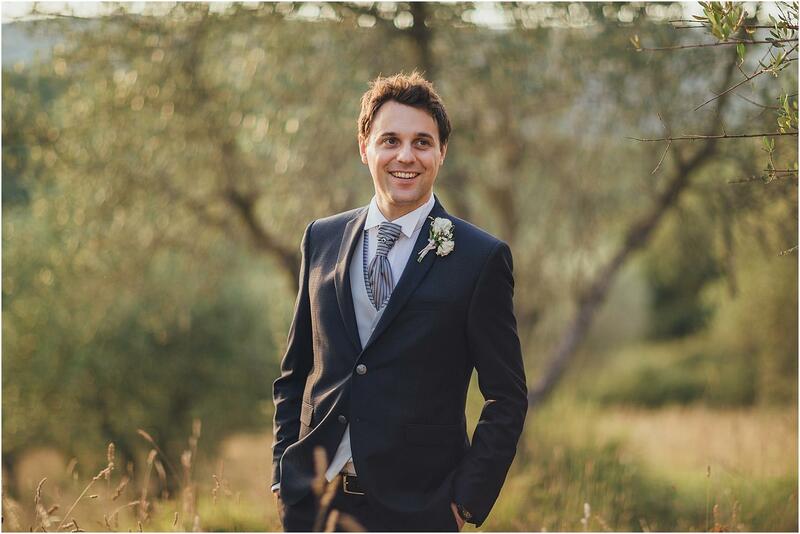 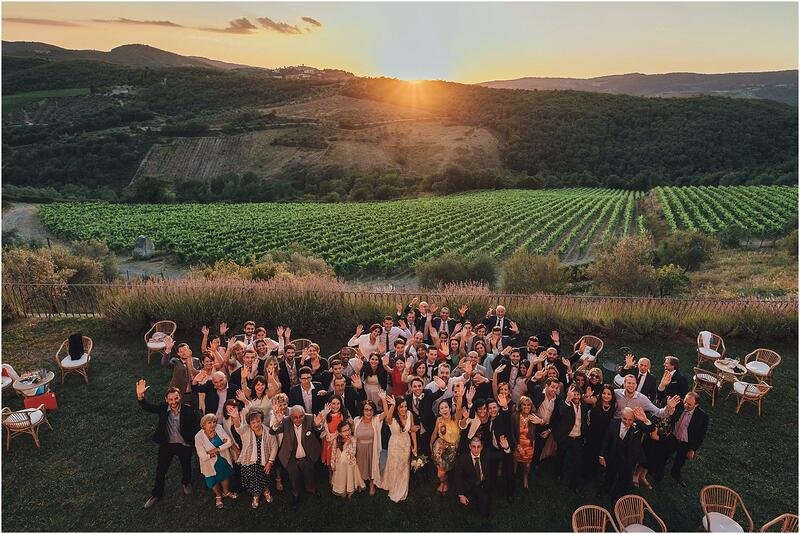 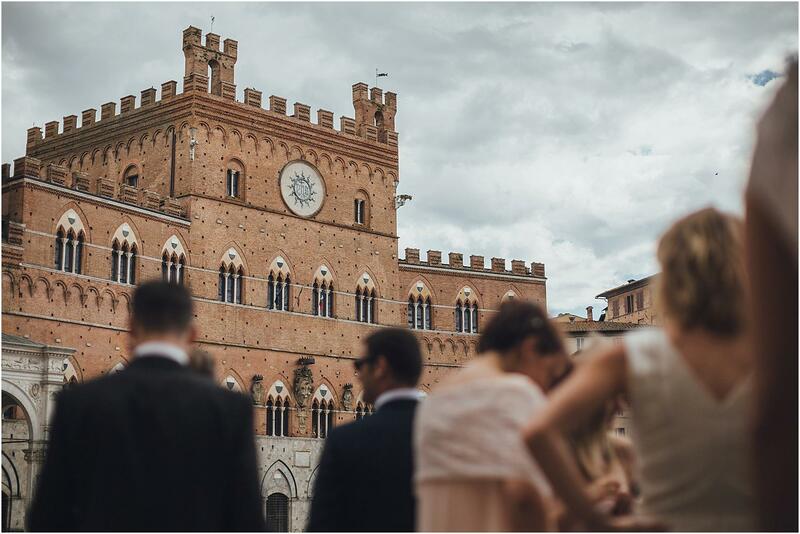 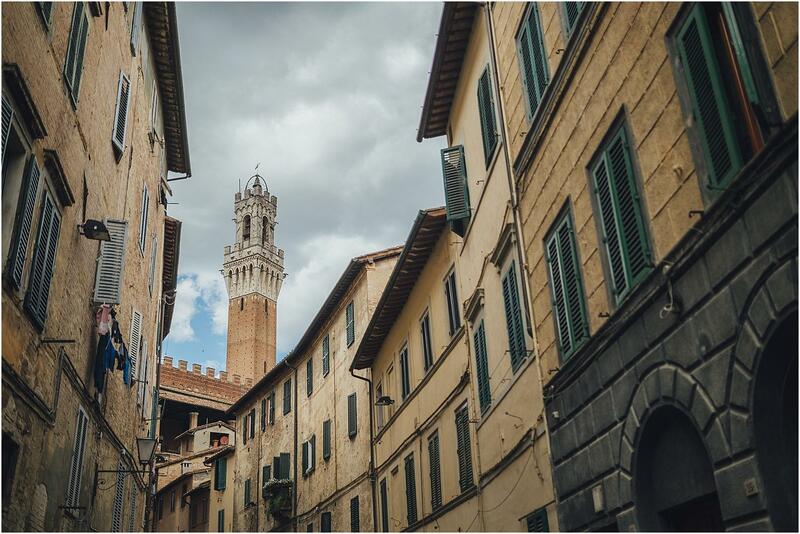 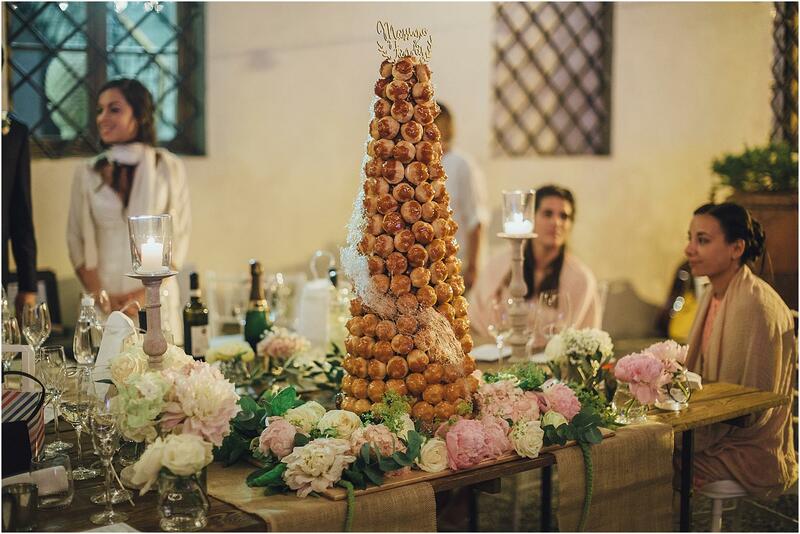 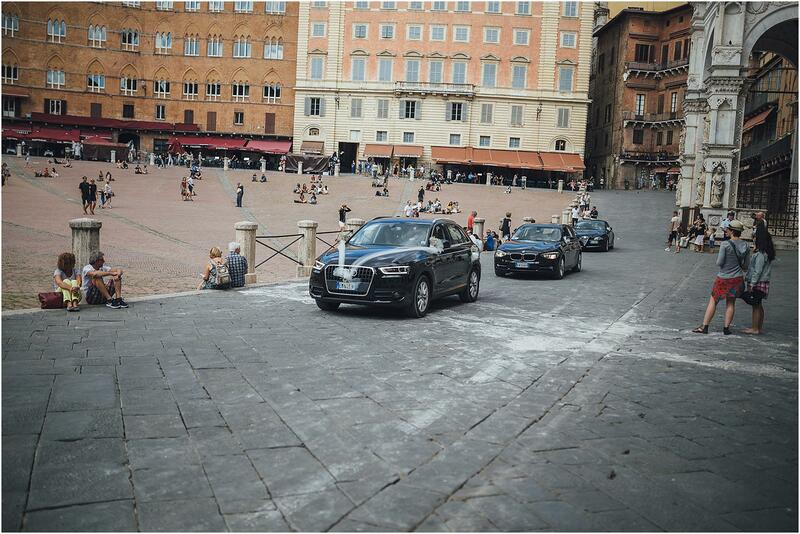 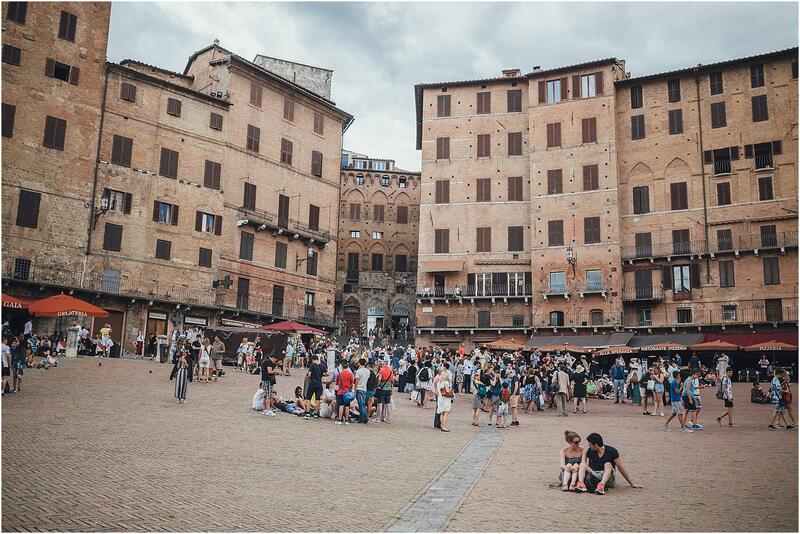 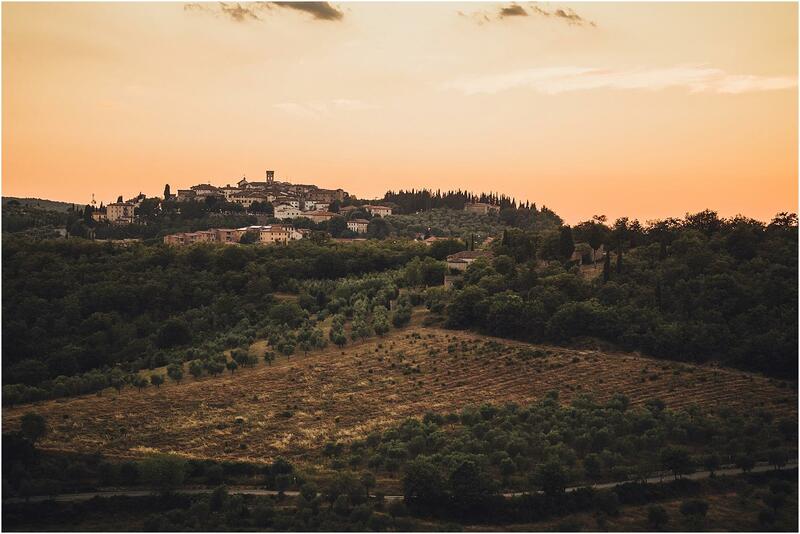 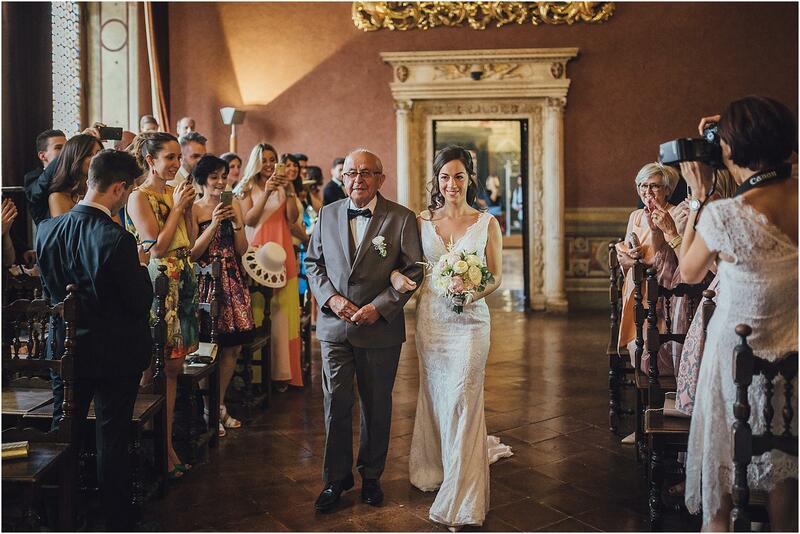 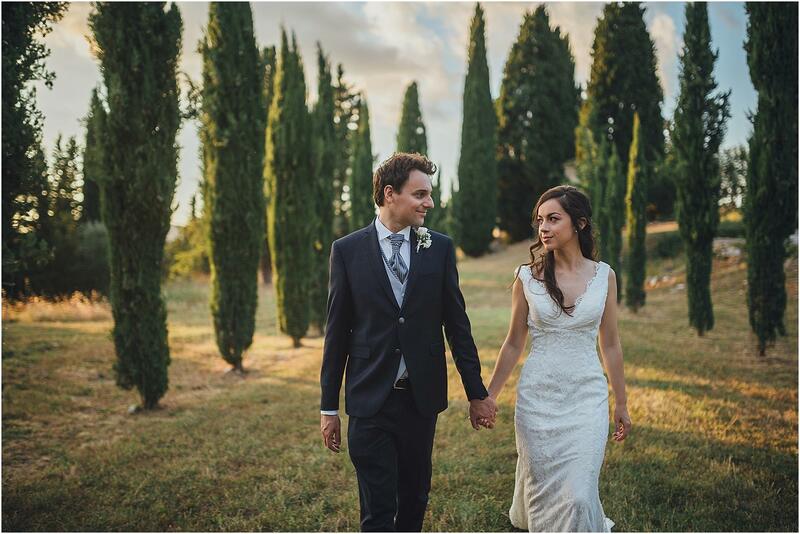 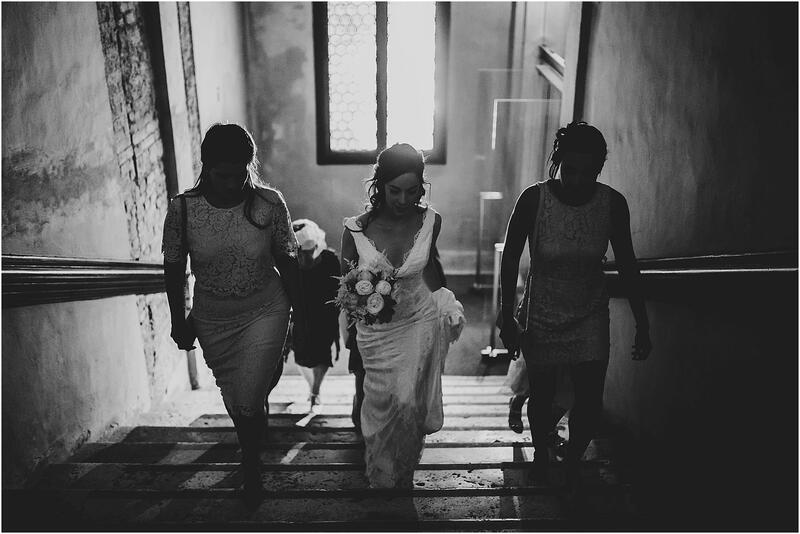 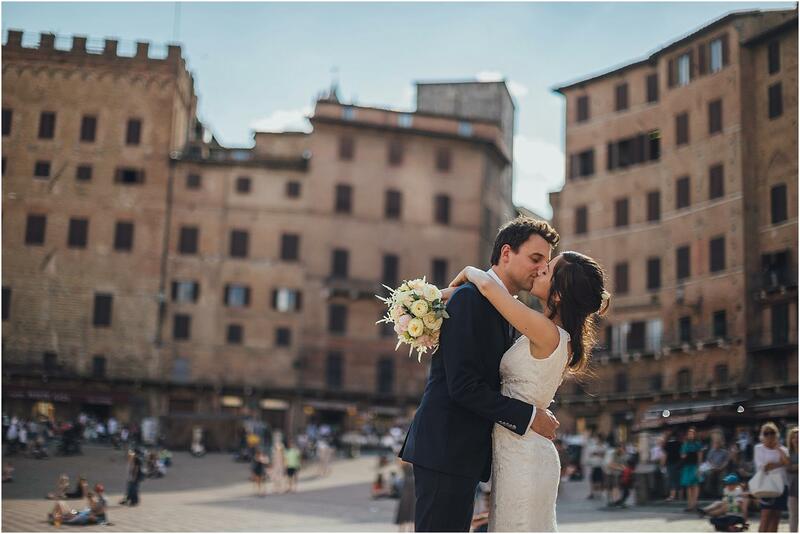 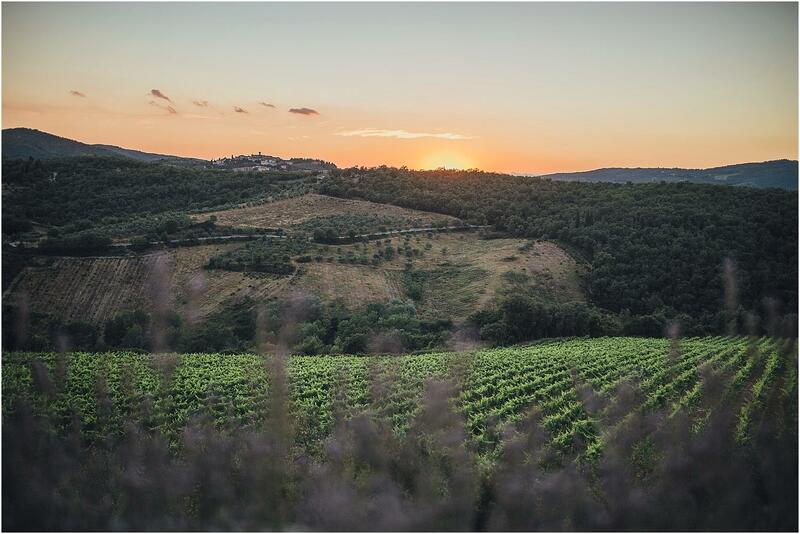 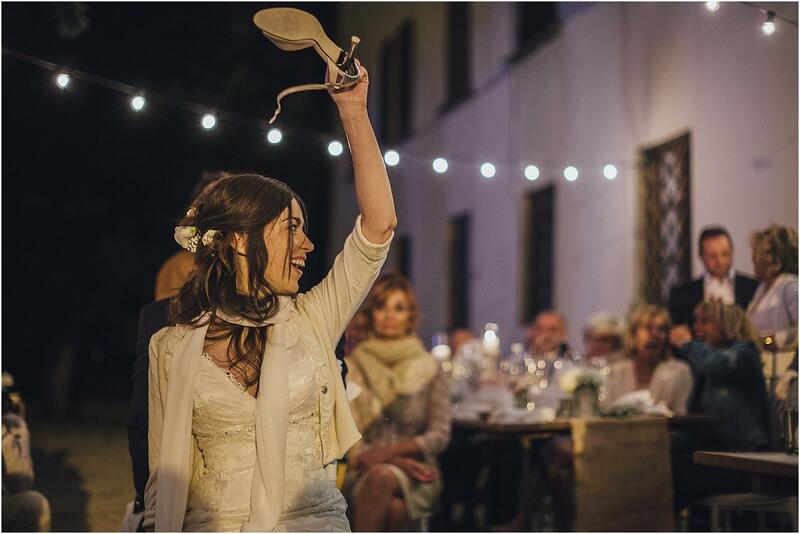 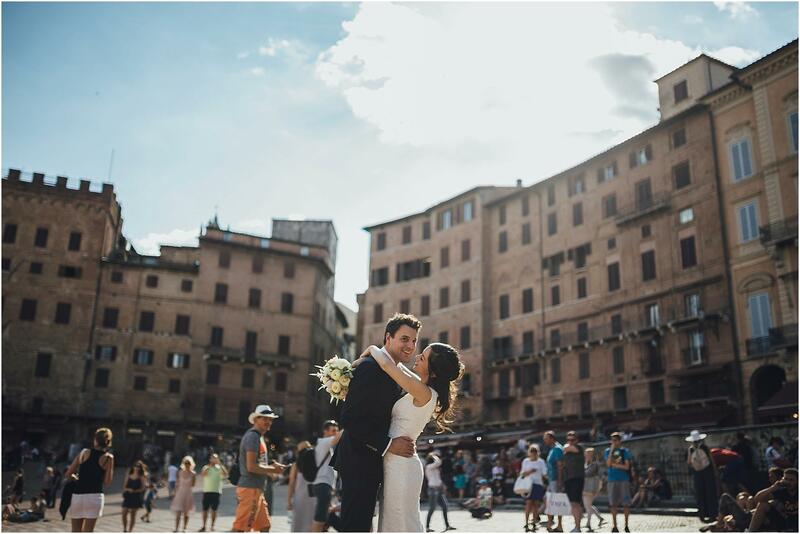 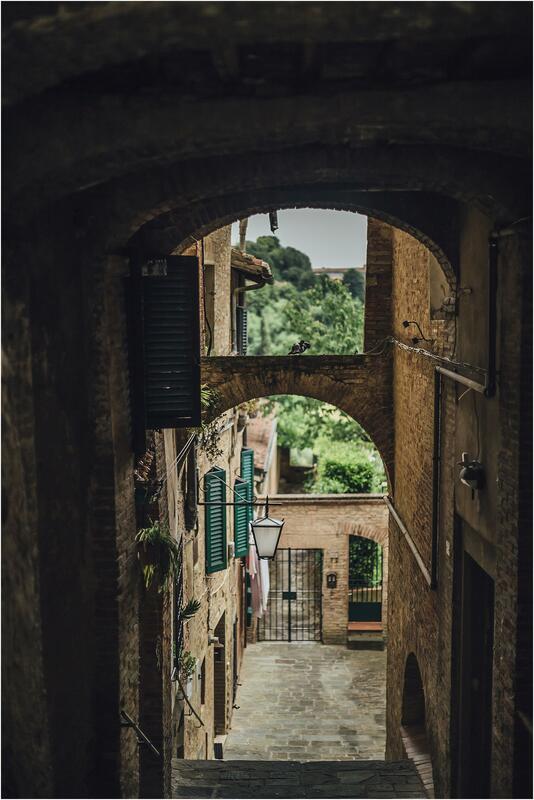 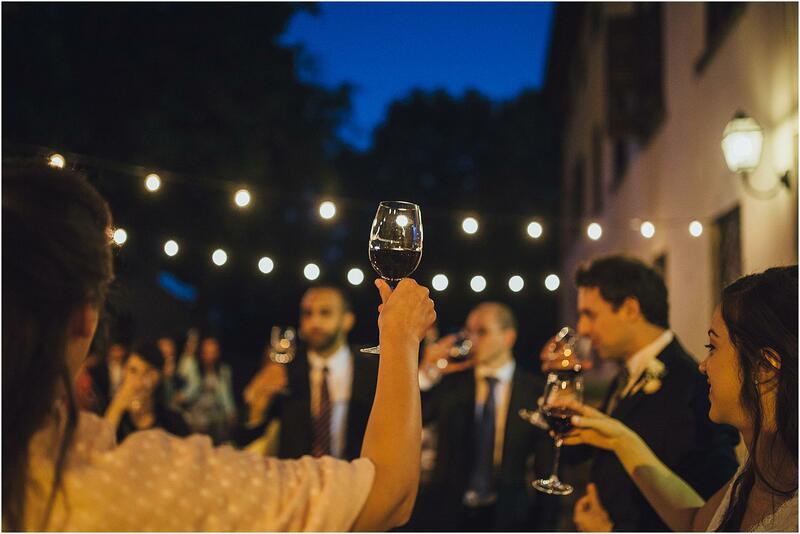 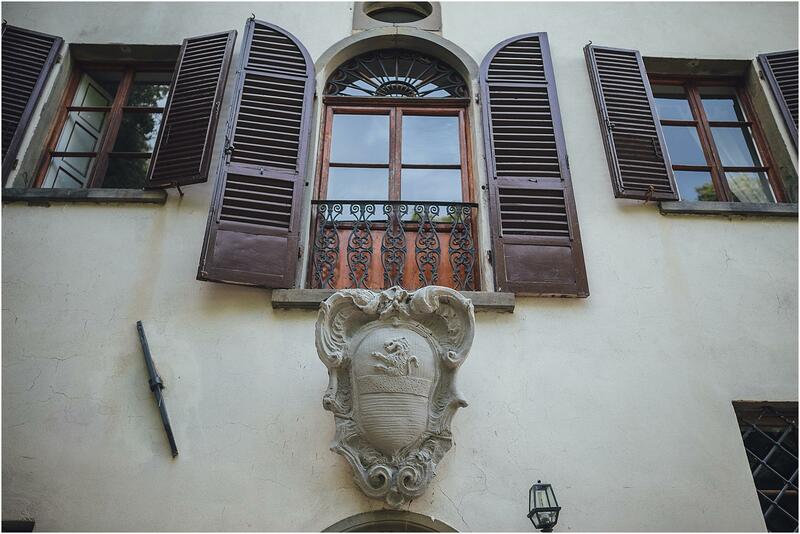 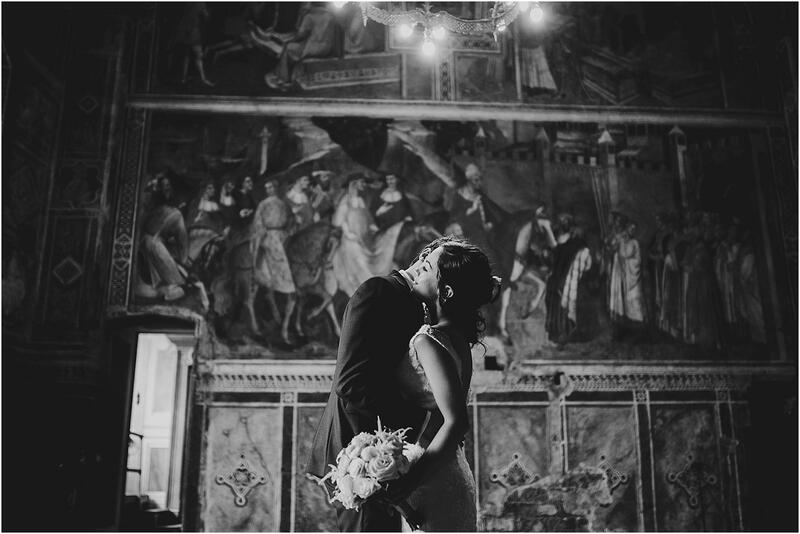 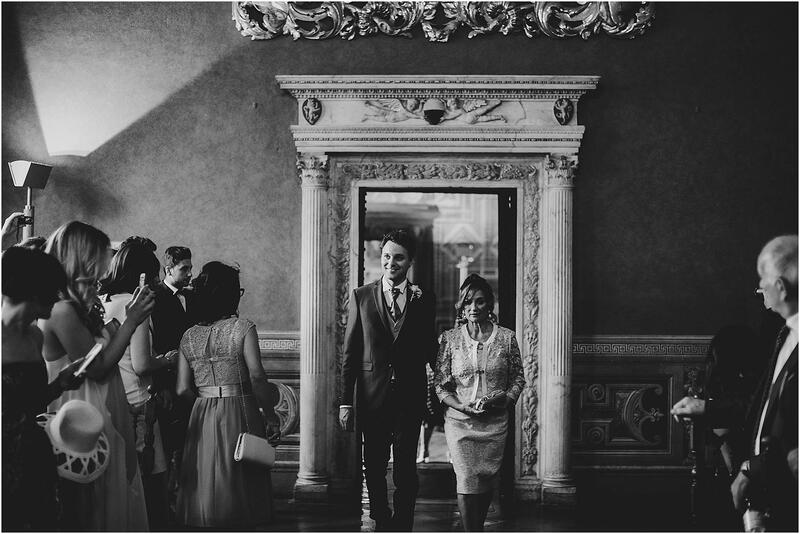 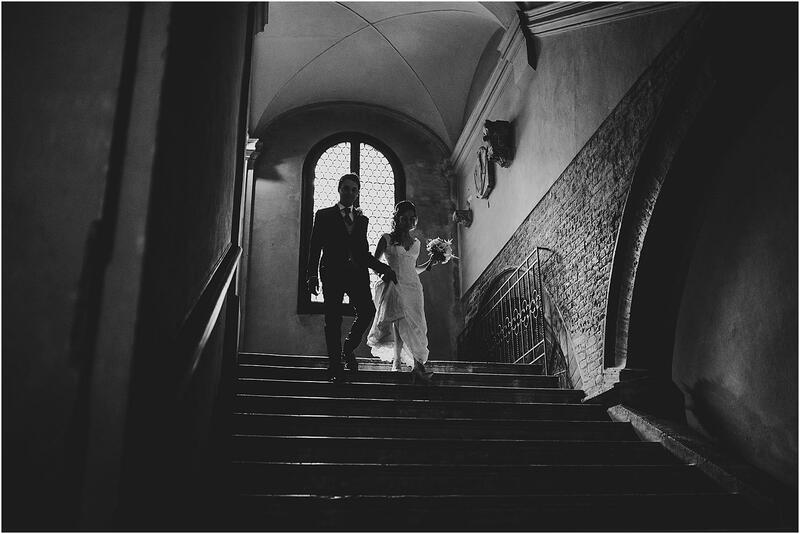 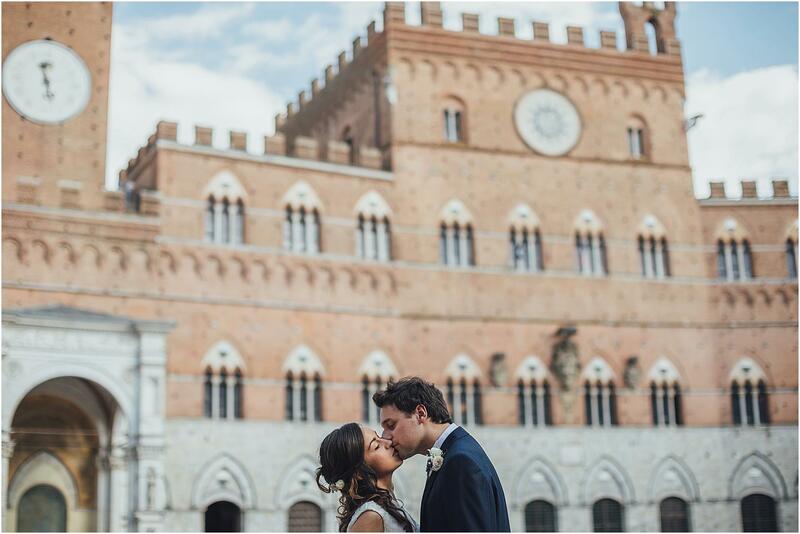 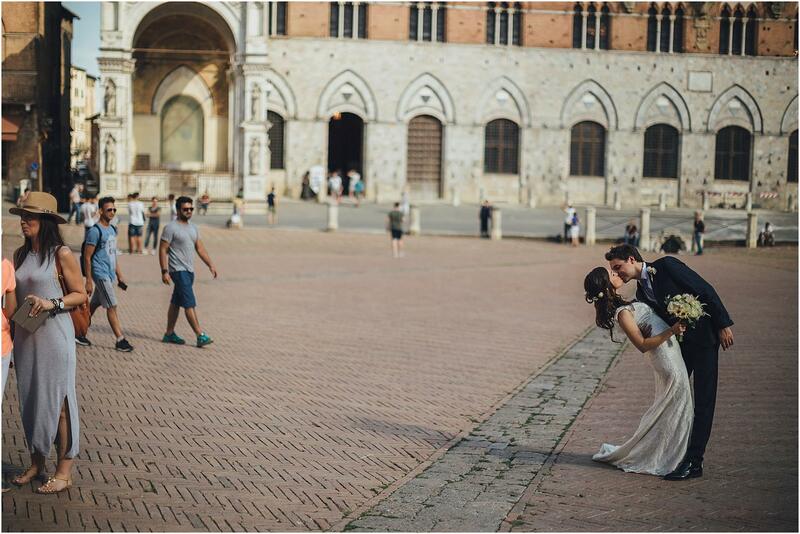 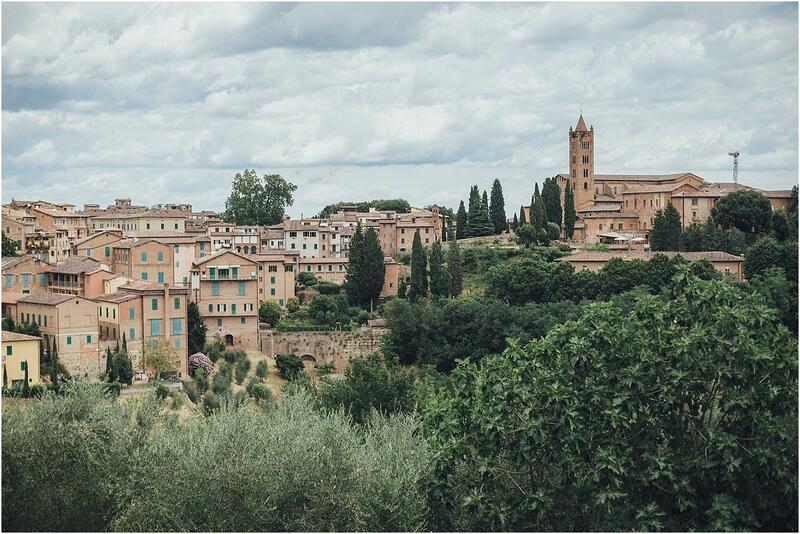 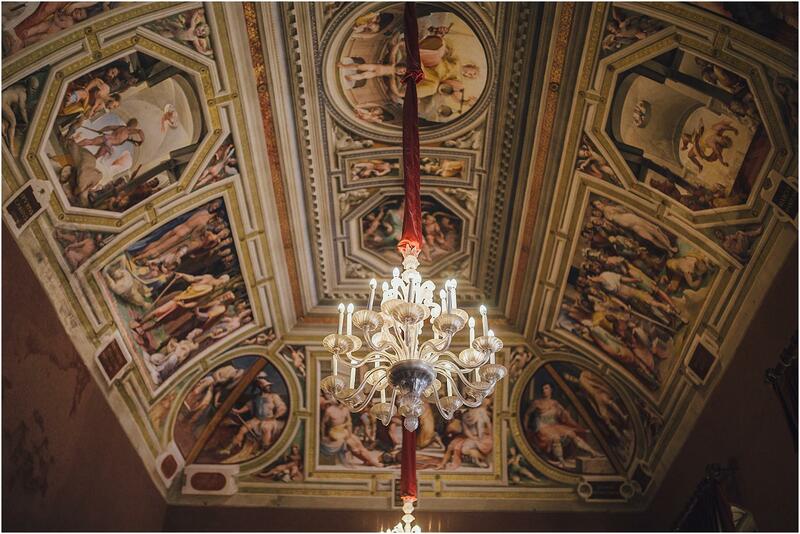 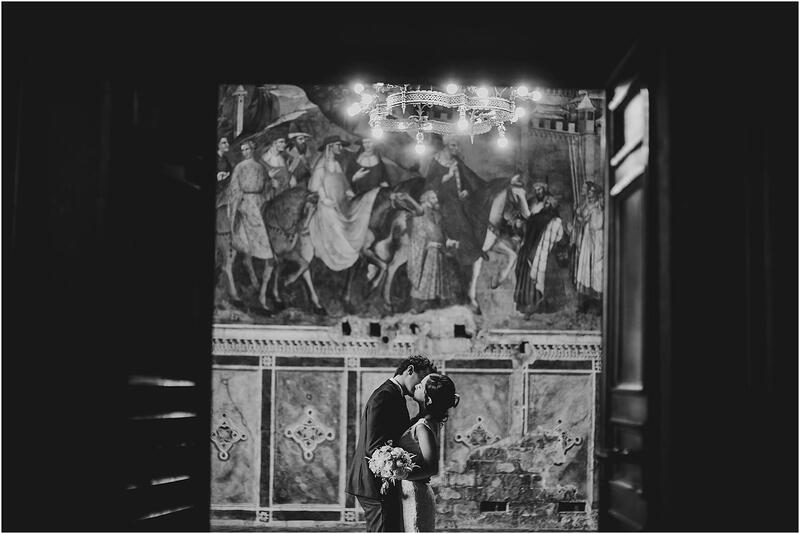 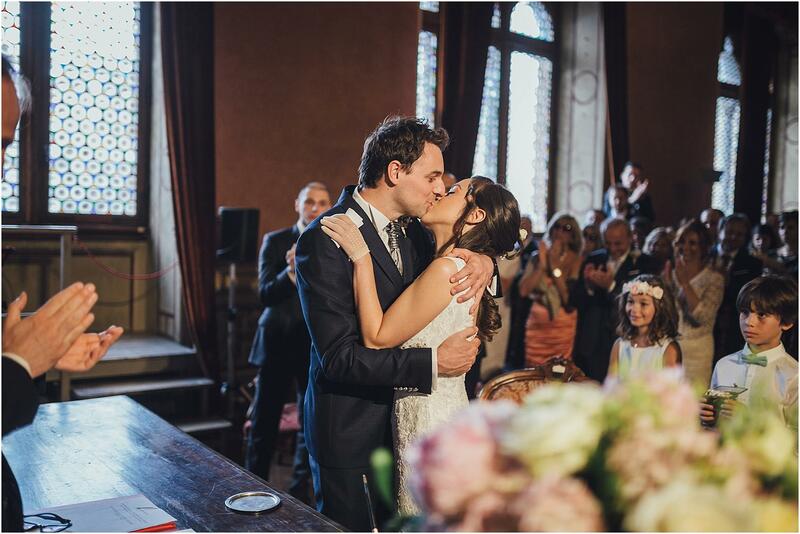 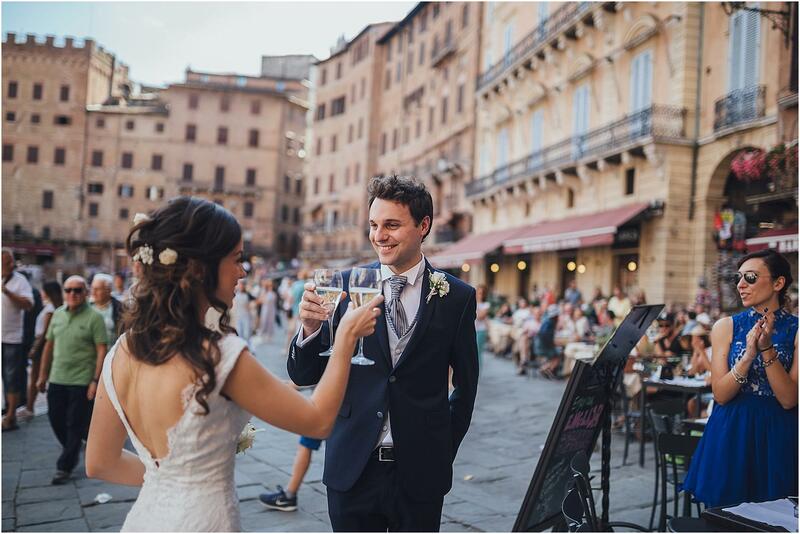 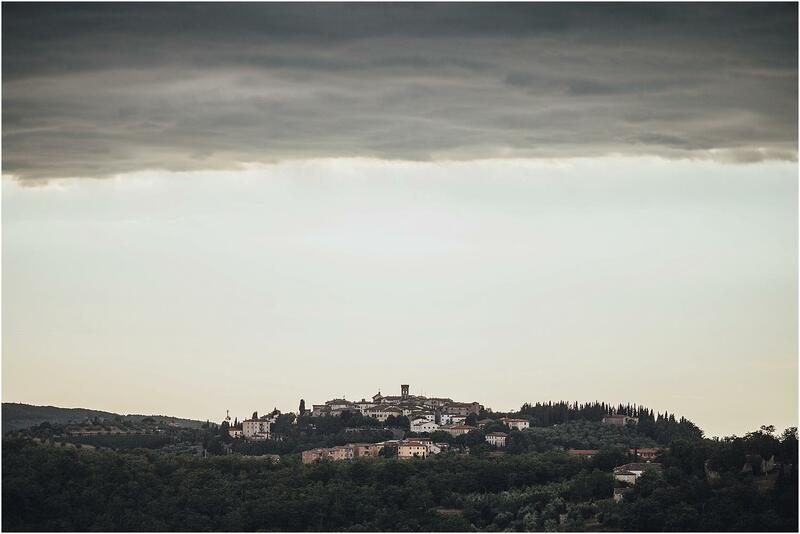 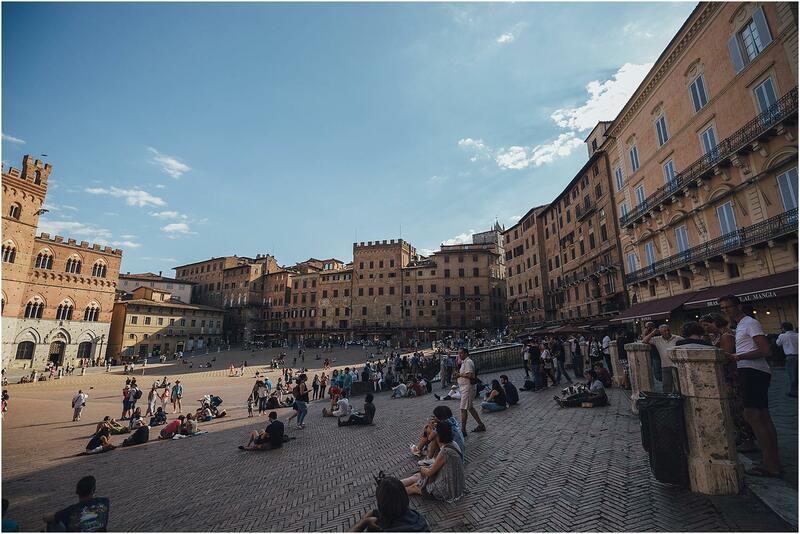 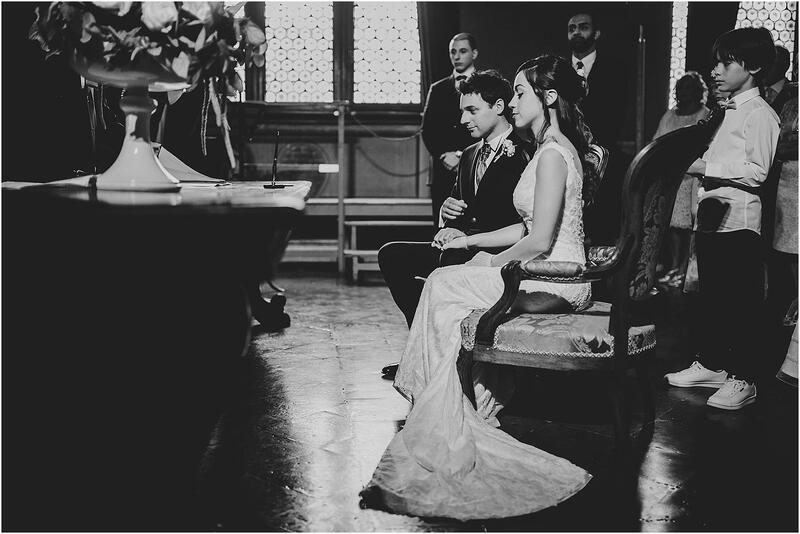 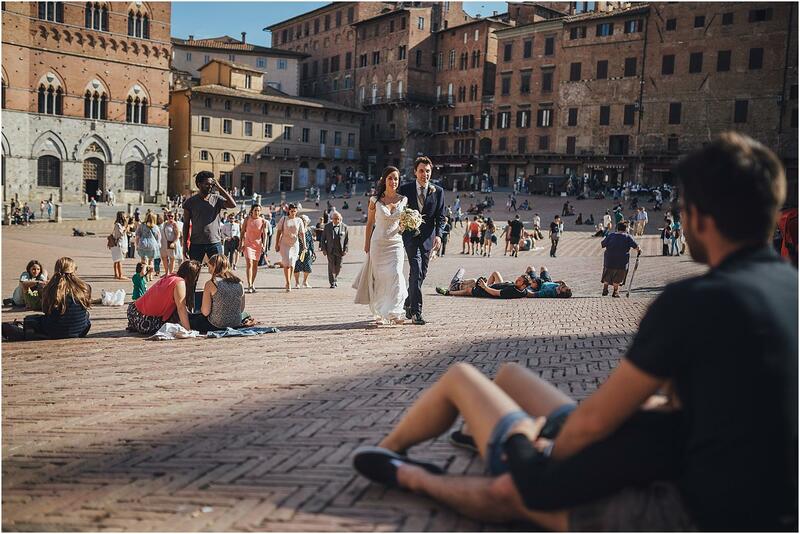 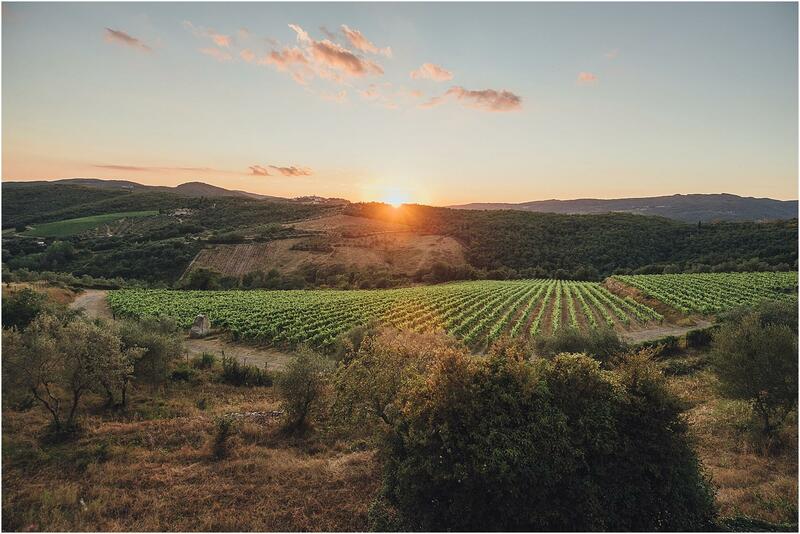 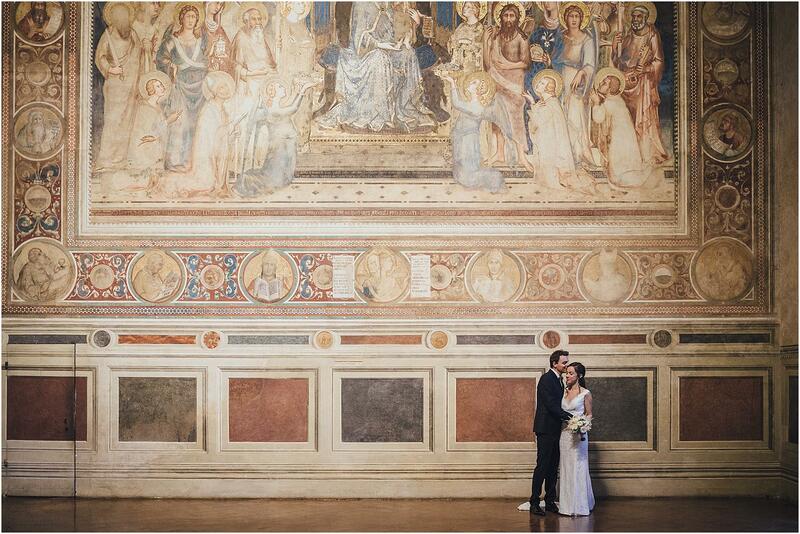 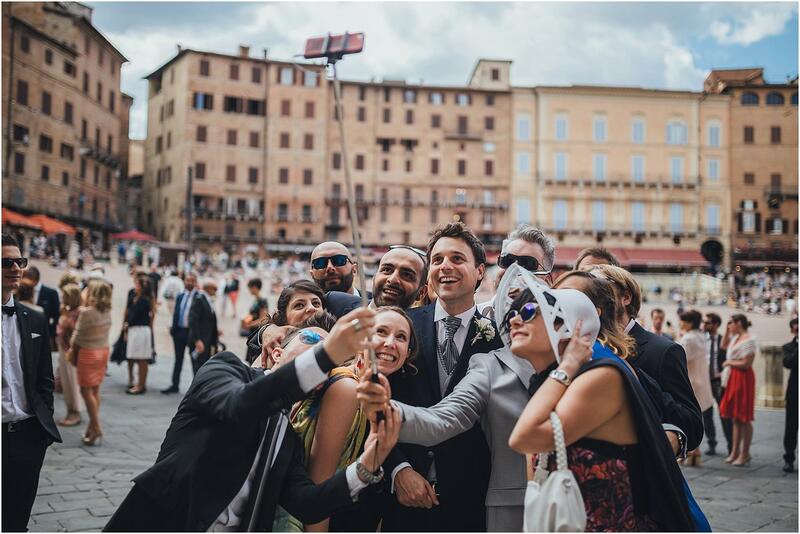 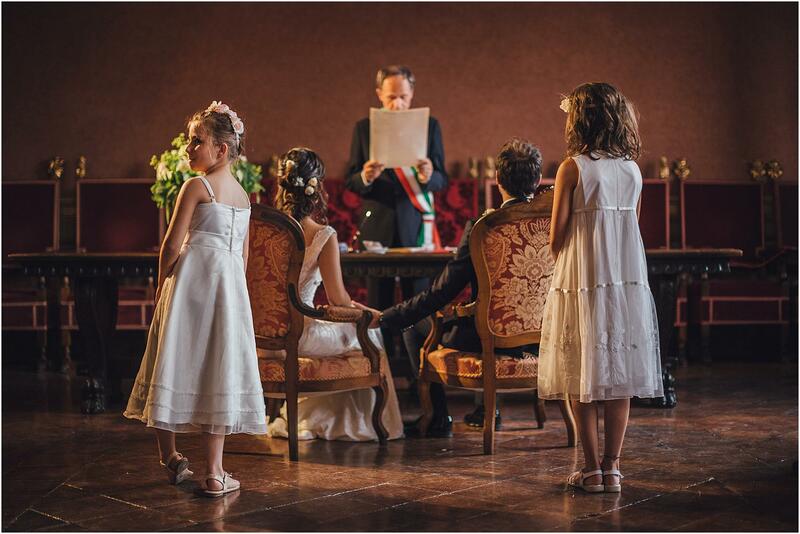 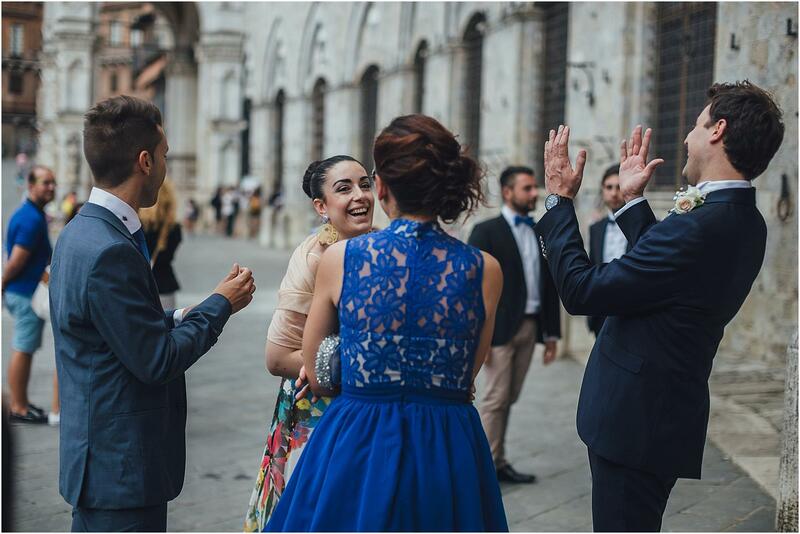 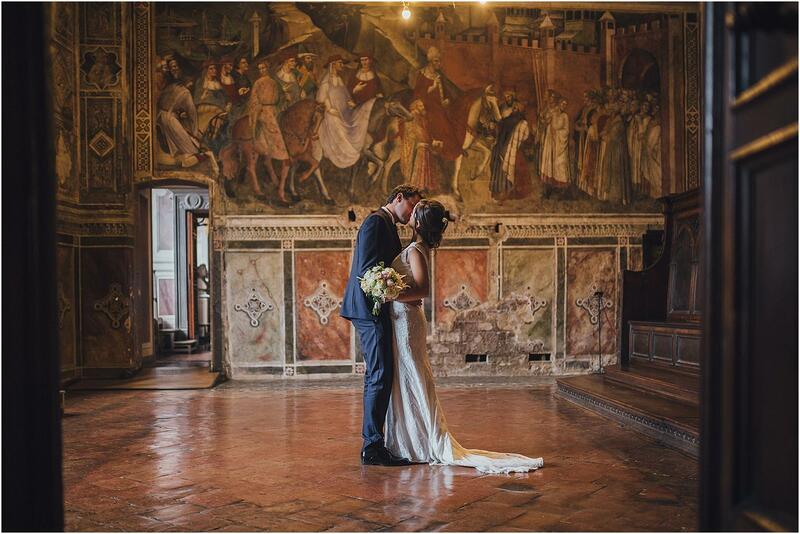 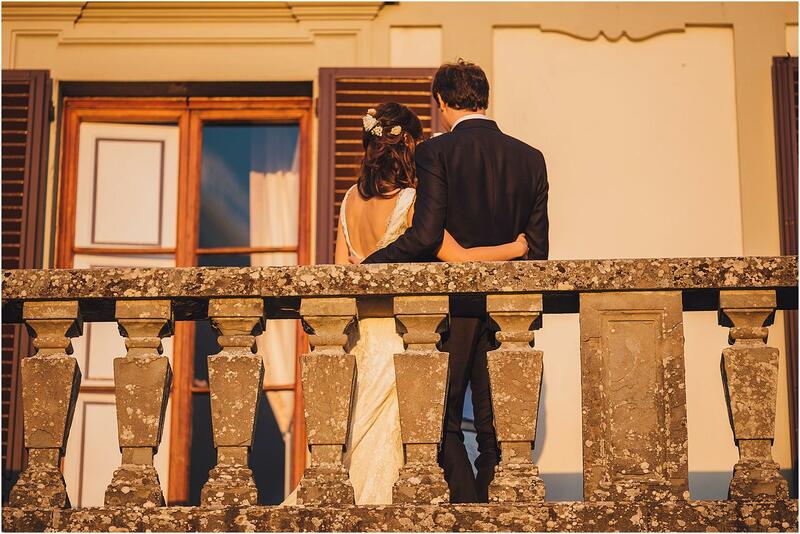 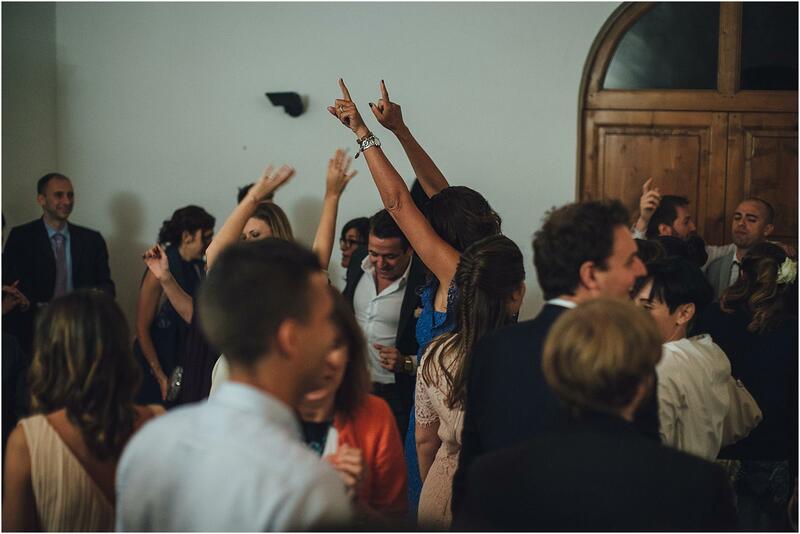 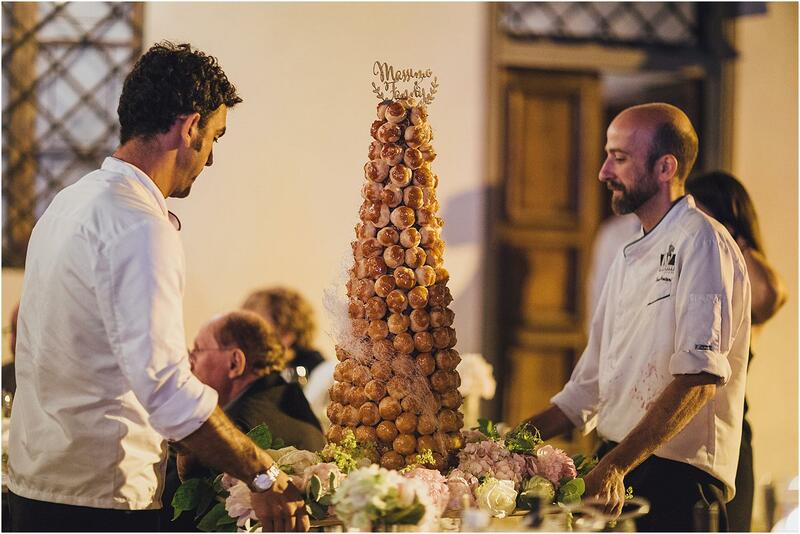 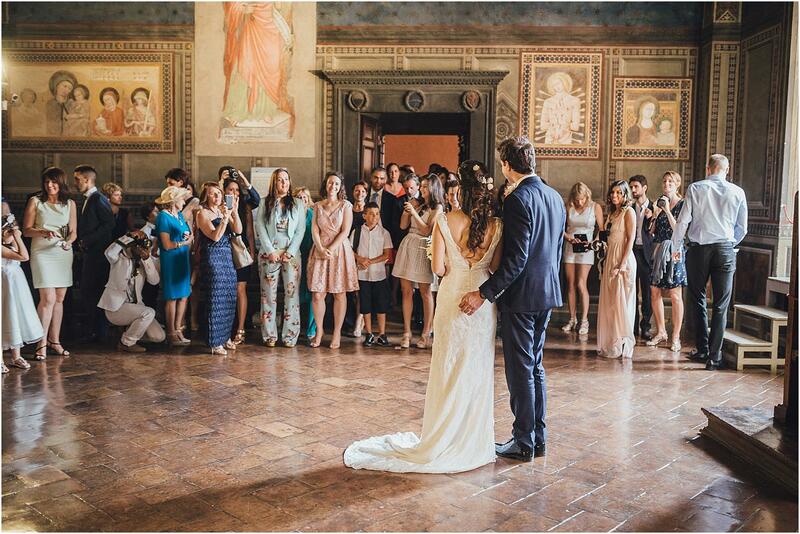 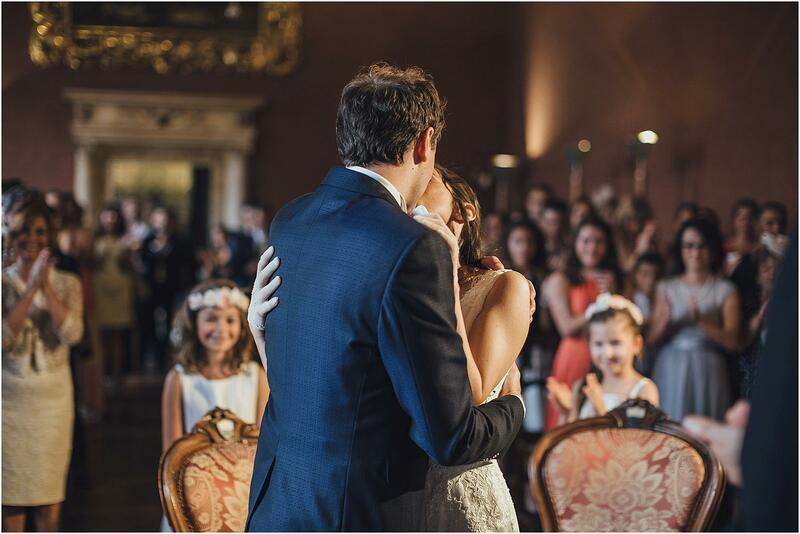 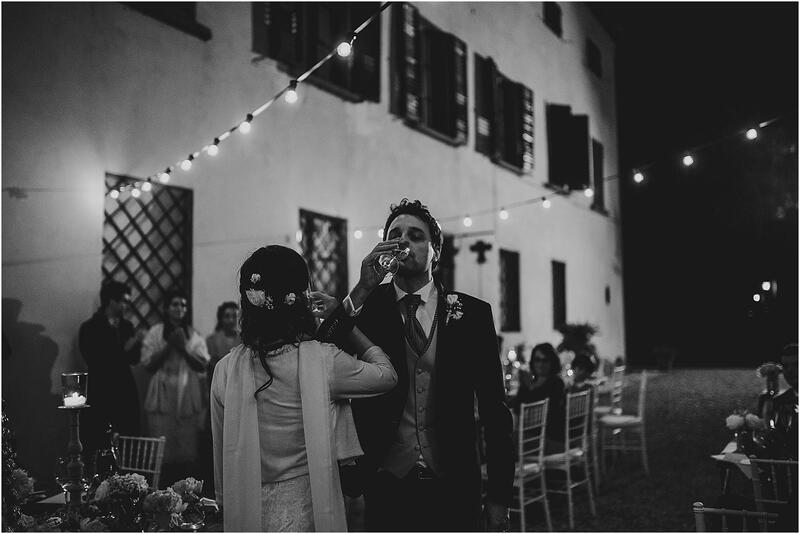 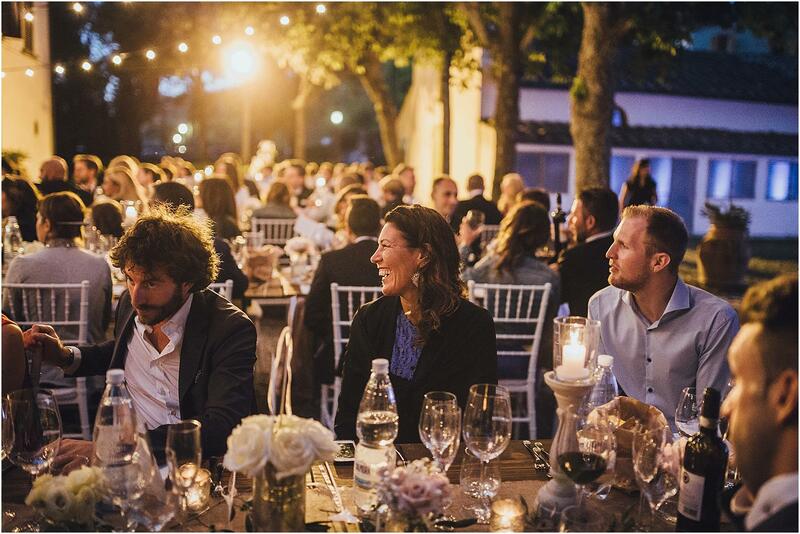 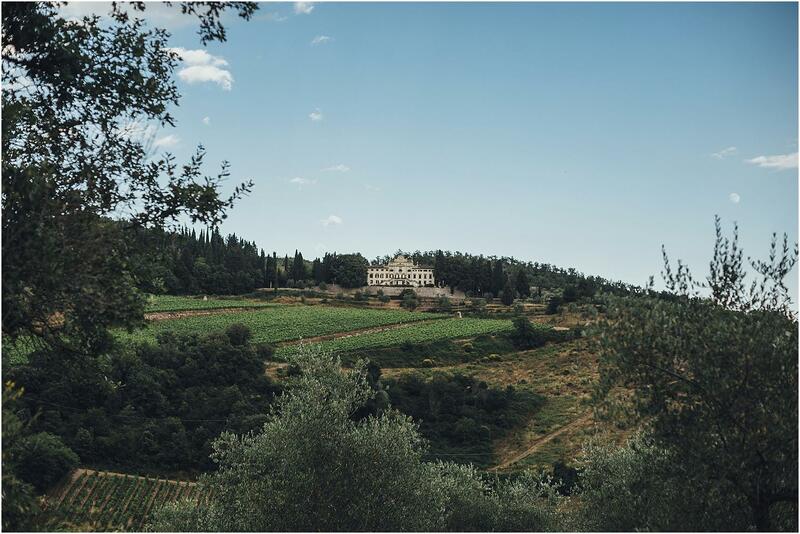 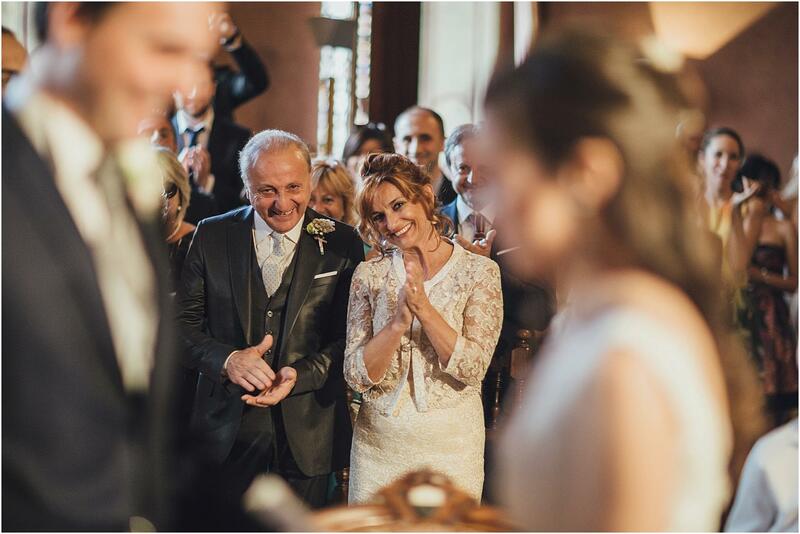 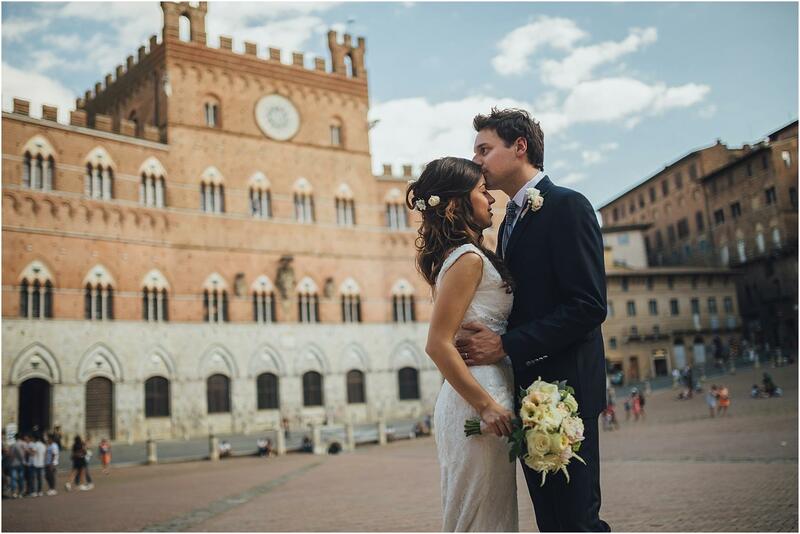 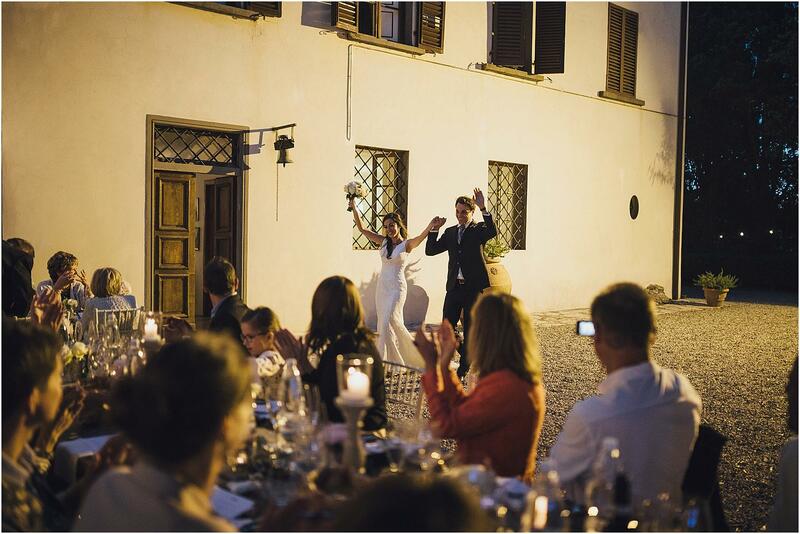 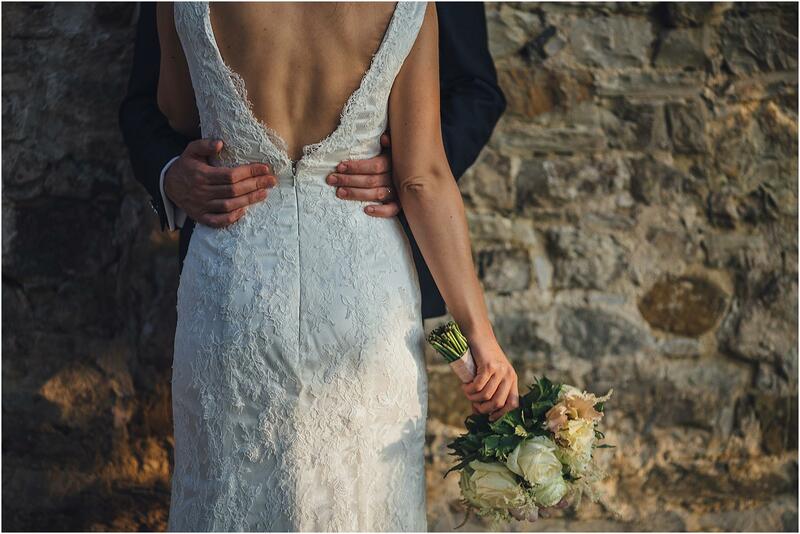 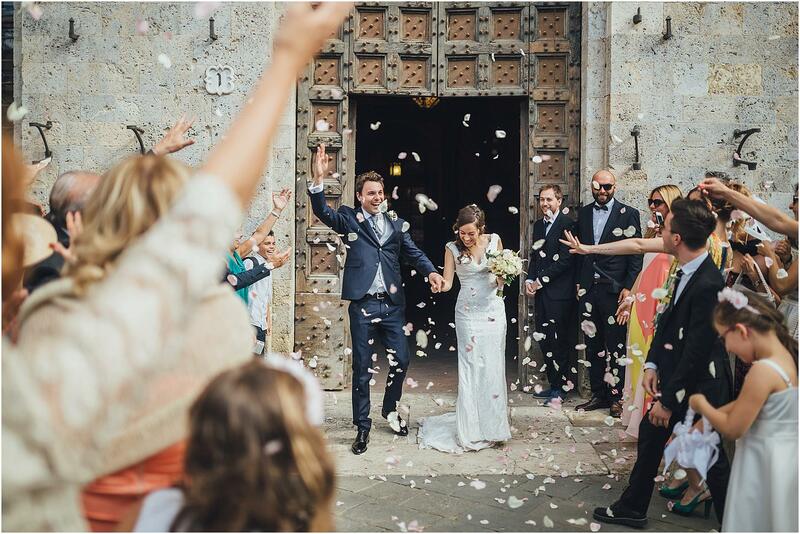 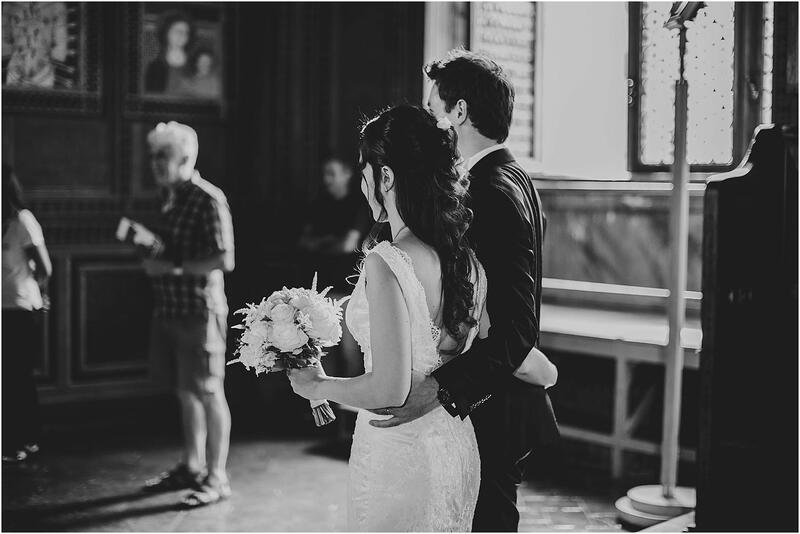 For their destination wedding in Tuscany, Massimo and Fanny have chosen an amazing location: the wonderful city of Siena (the City Hall) to celebrate the civil ceremony and the elegant Villa Vistarenni in Gaiole in Chianti, for the reception. 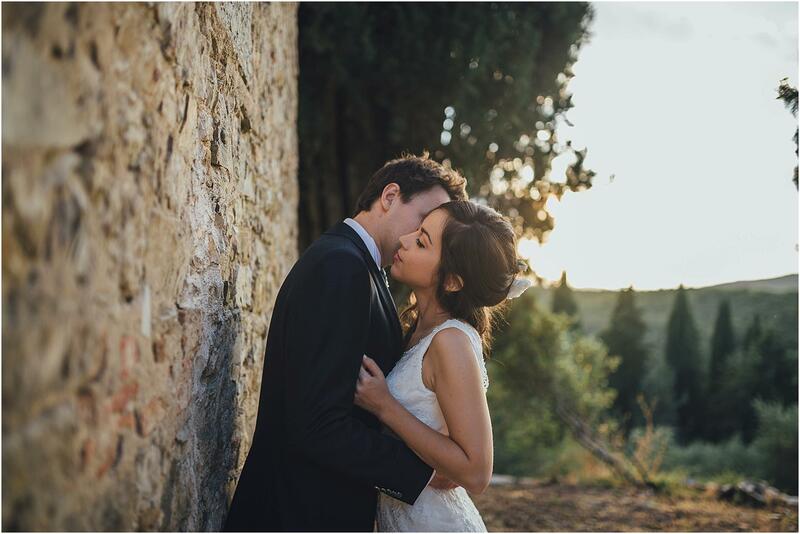 When we were called to realize their wedding photo shoot we were thrilled: we couldn’t wait to shoot in such a beautiful and evocative setting, which we had dreamed of portraying for so long. 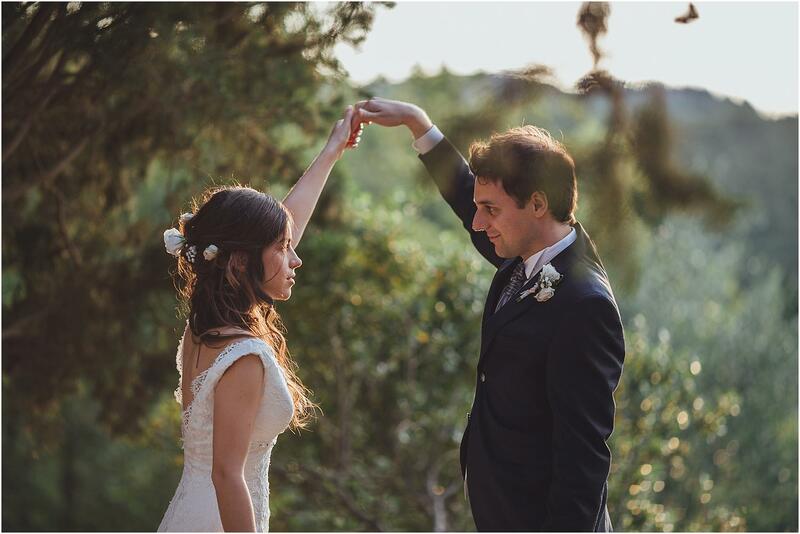 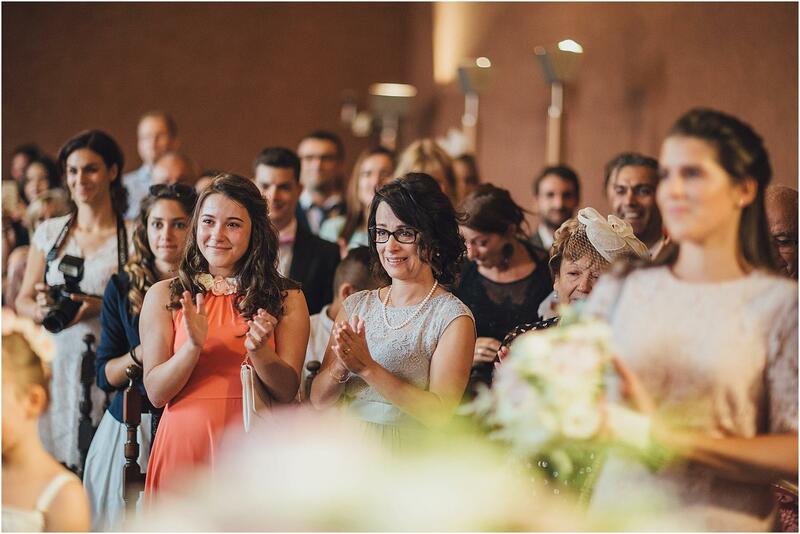 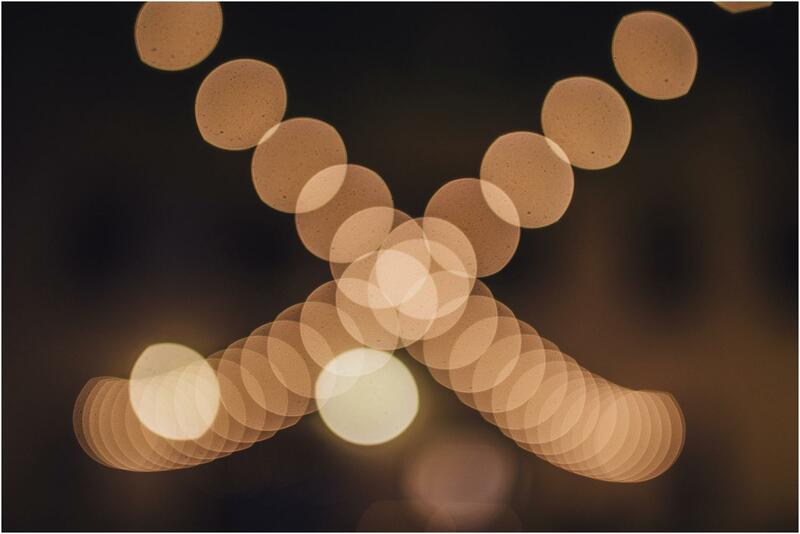 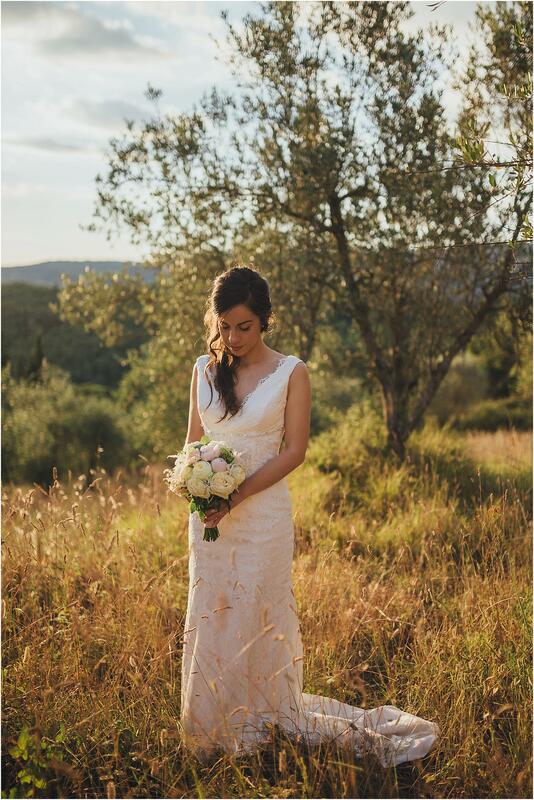 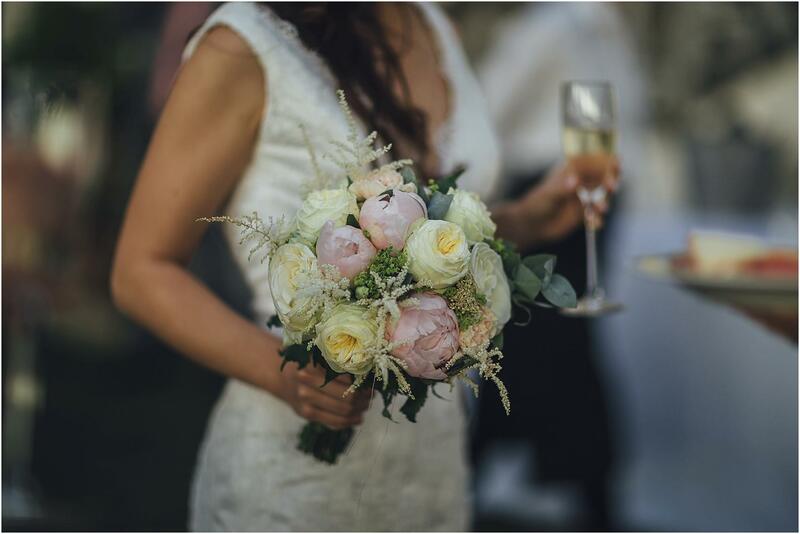 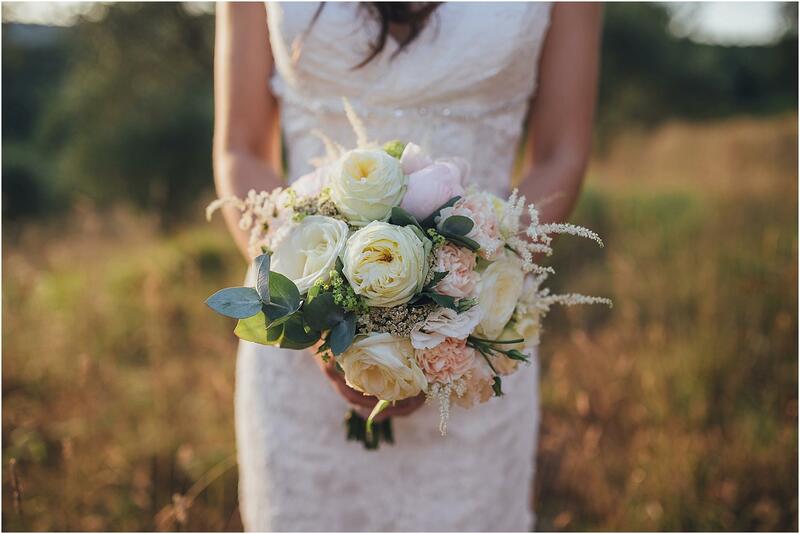 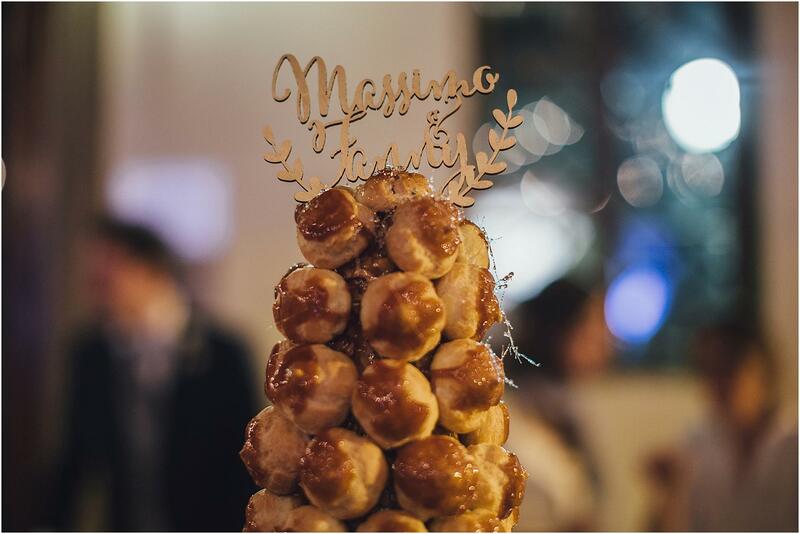 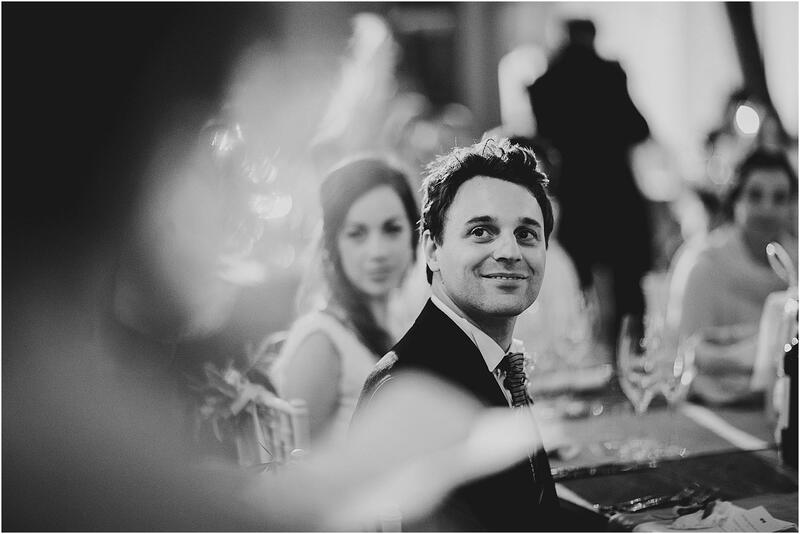 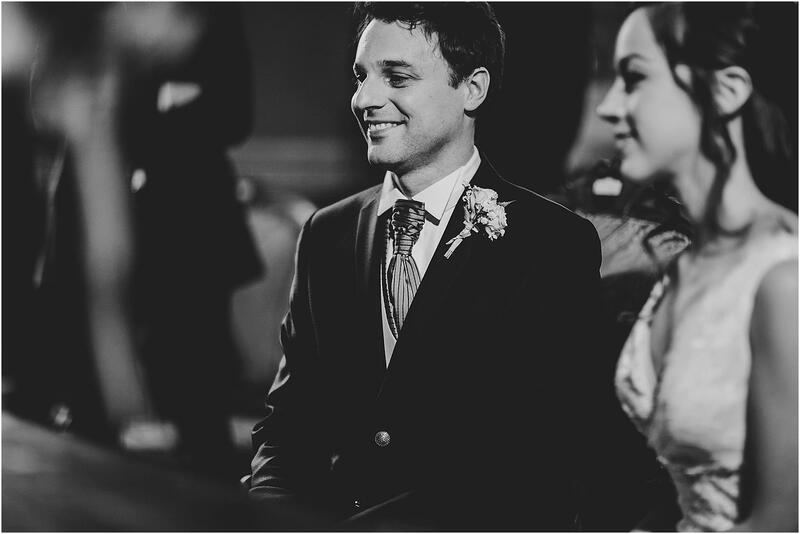 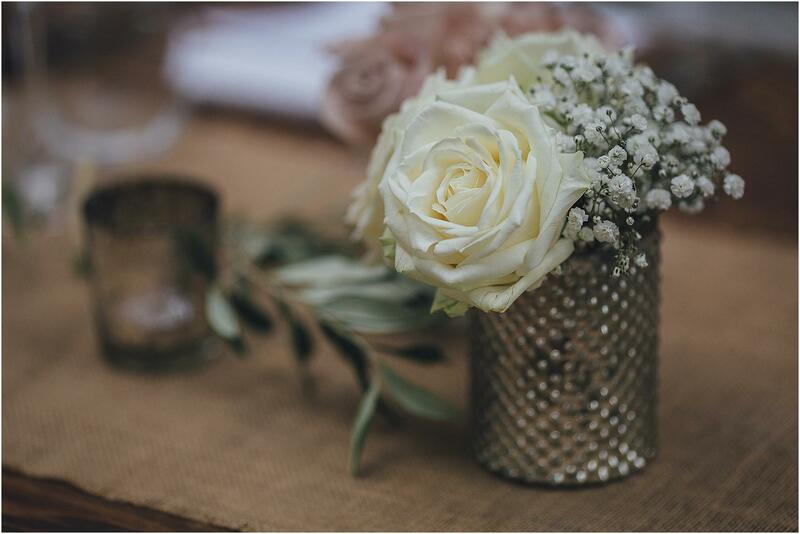 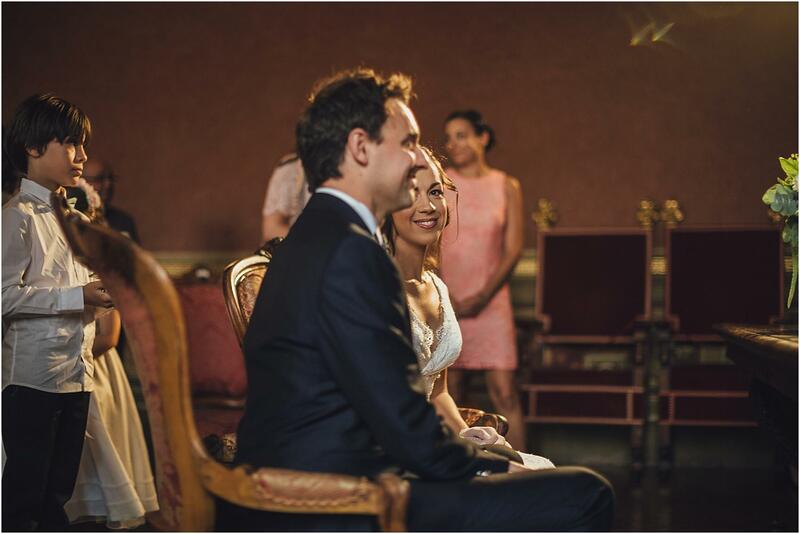 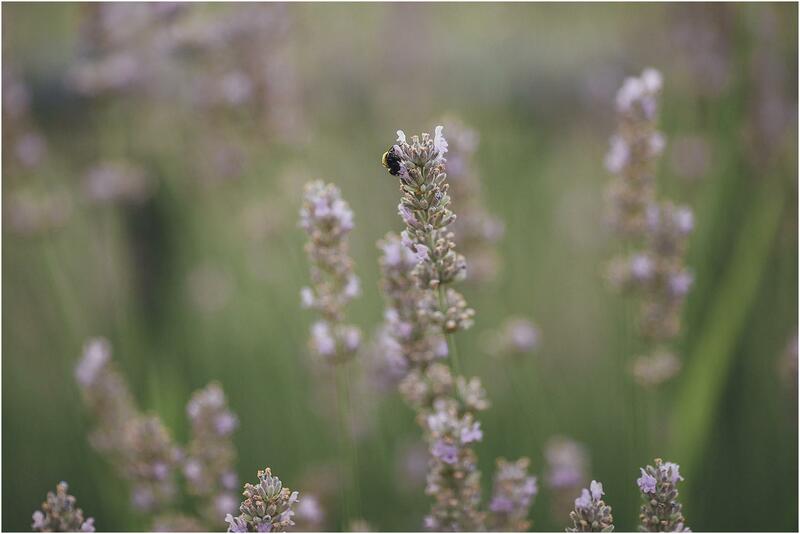 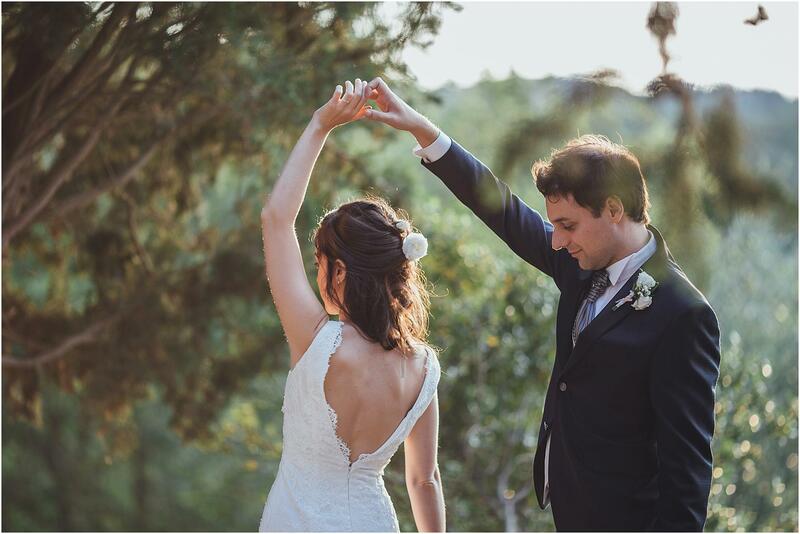 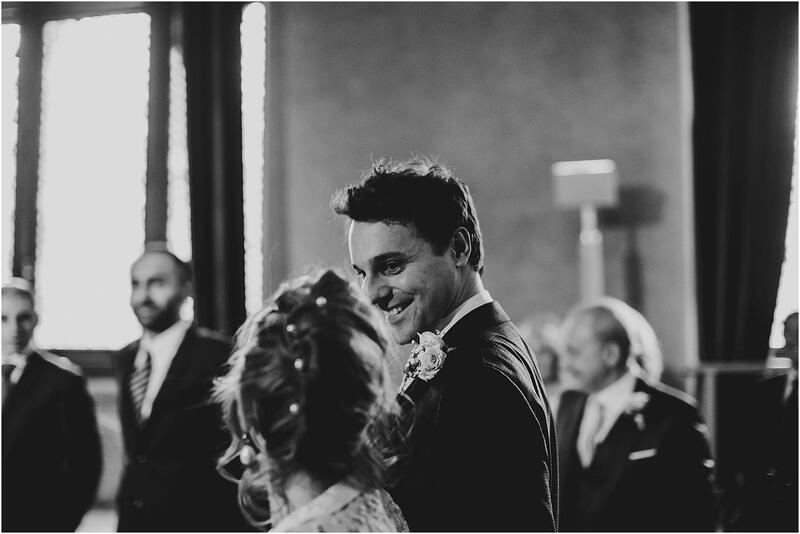 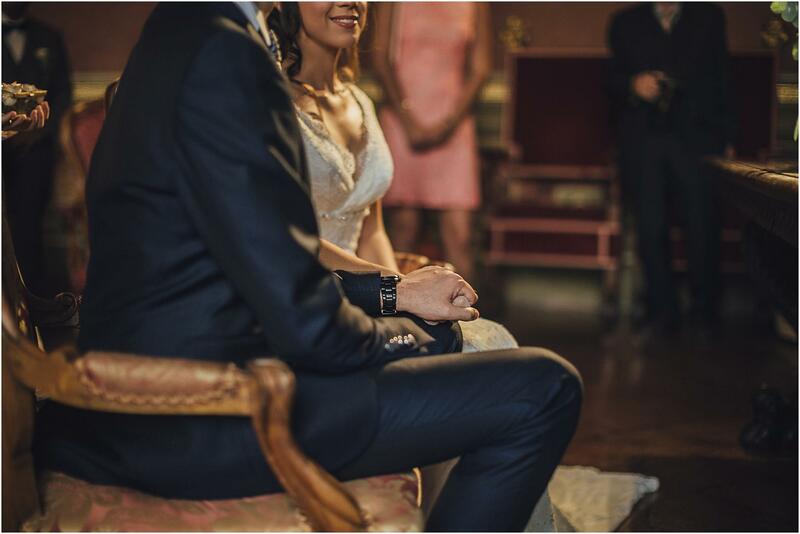 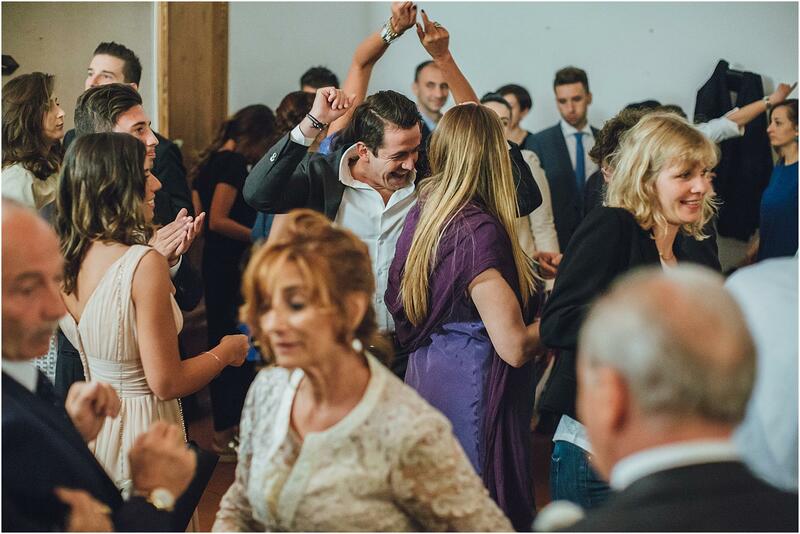 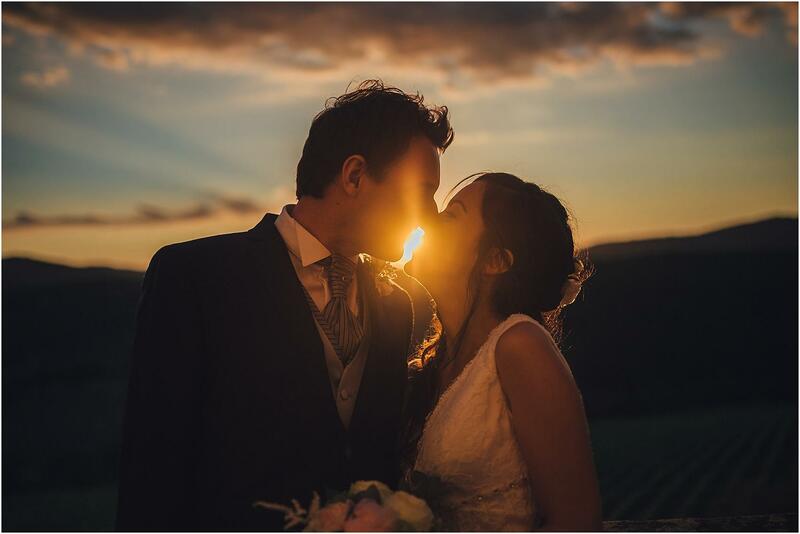 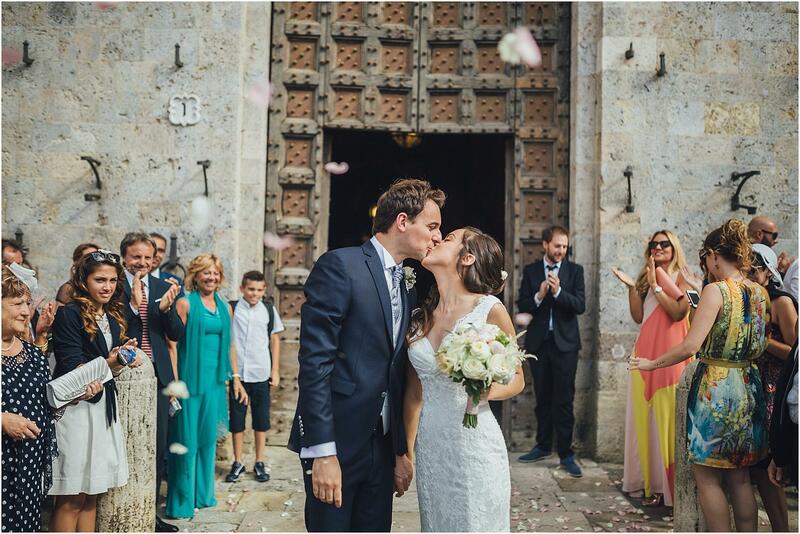 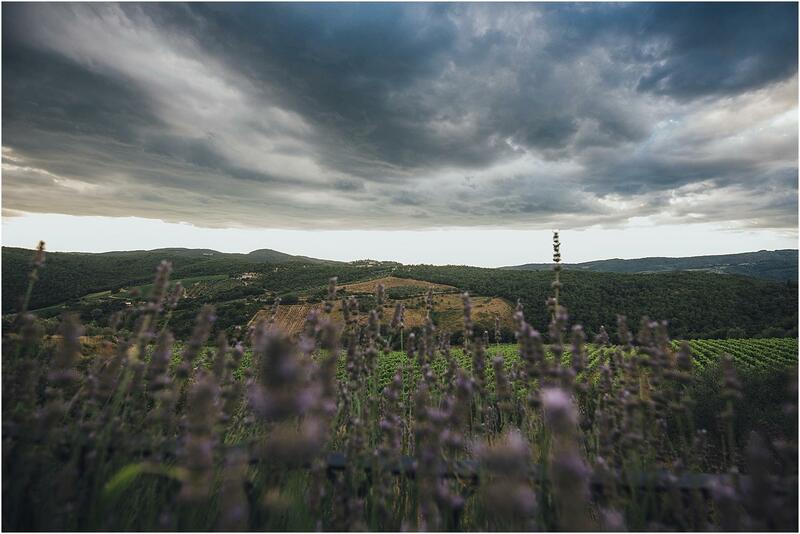 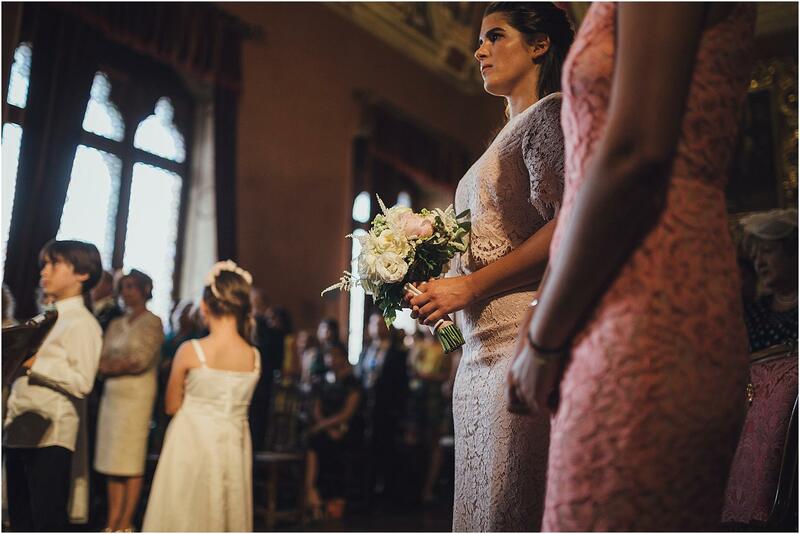 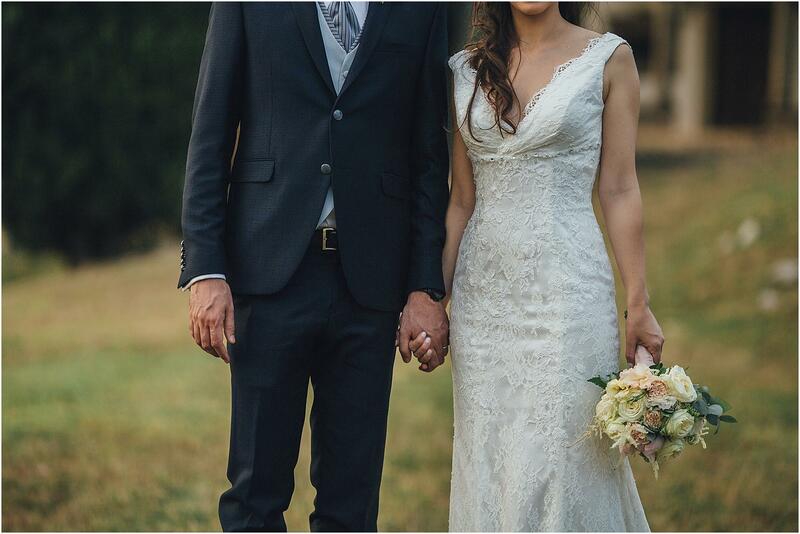 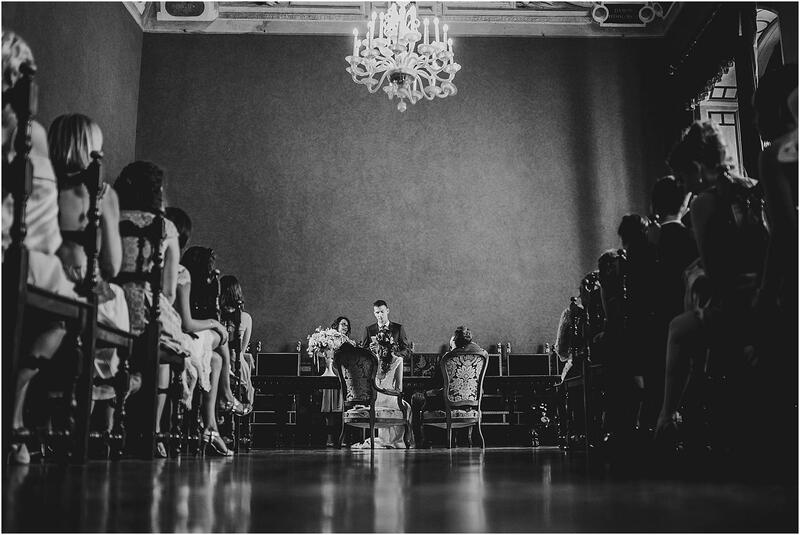 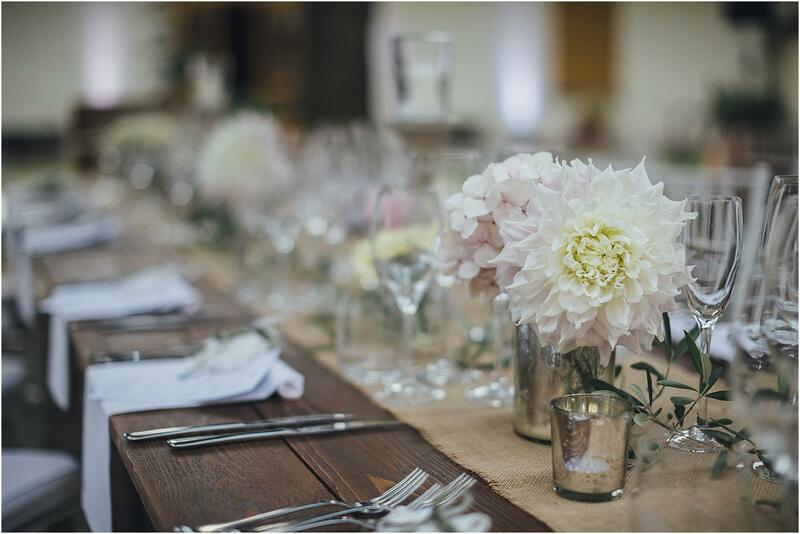 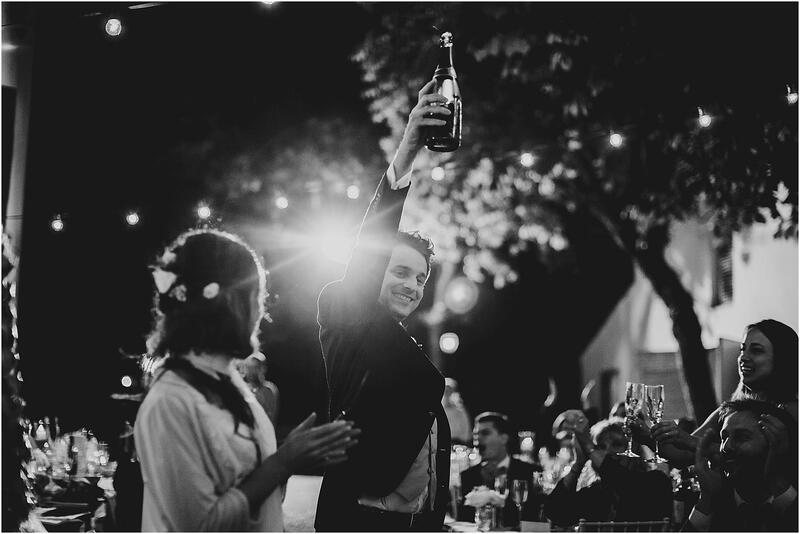 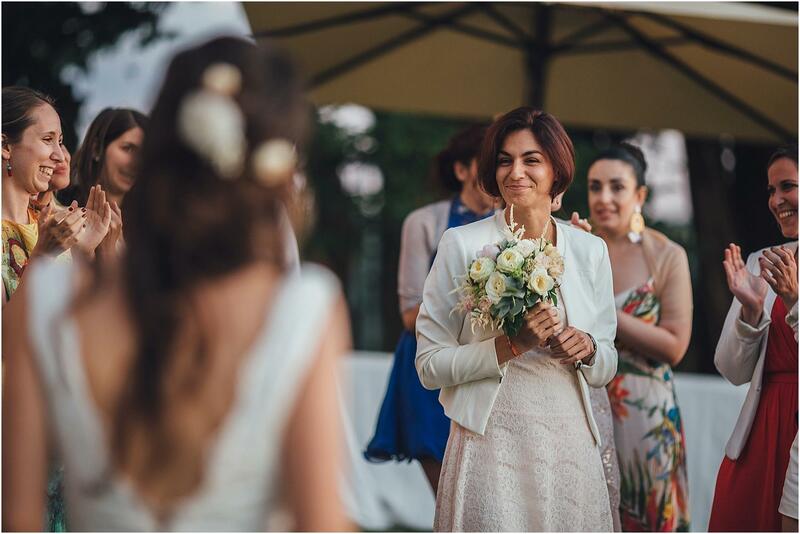 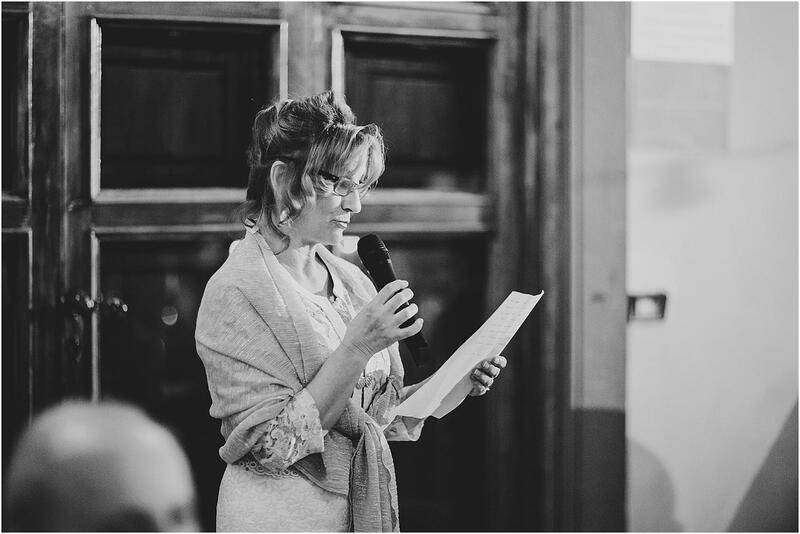 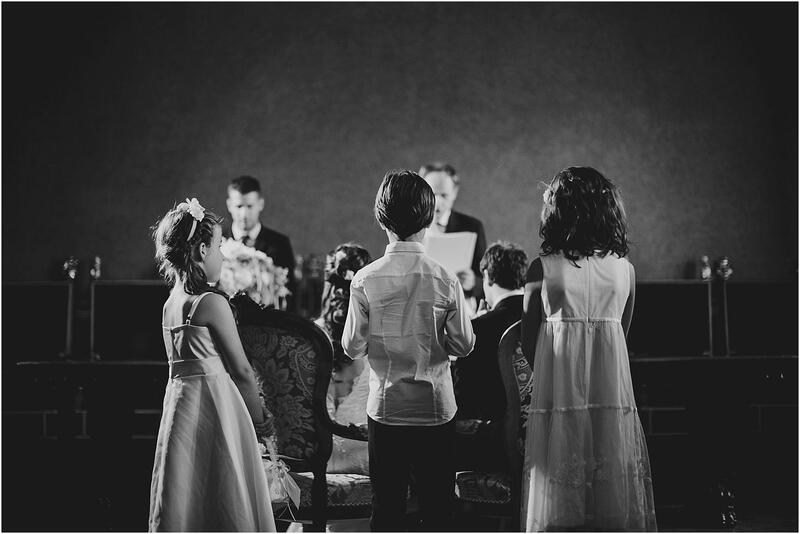 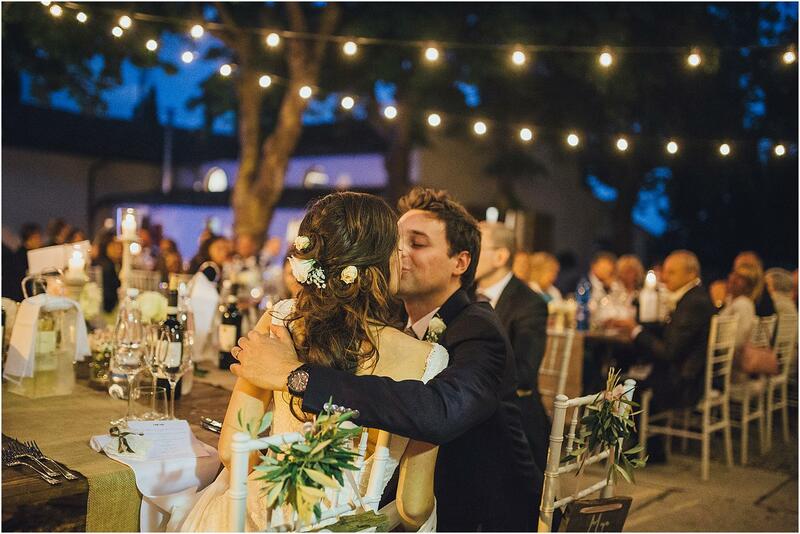 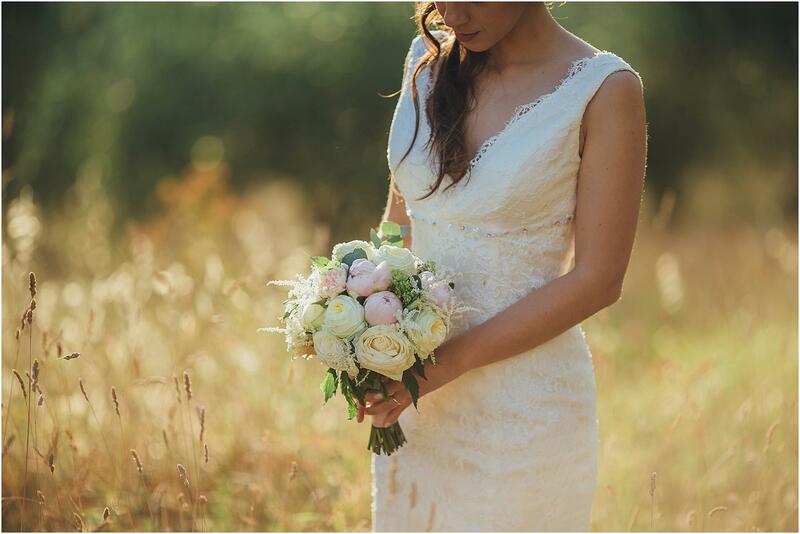 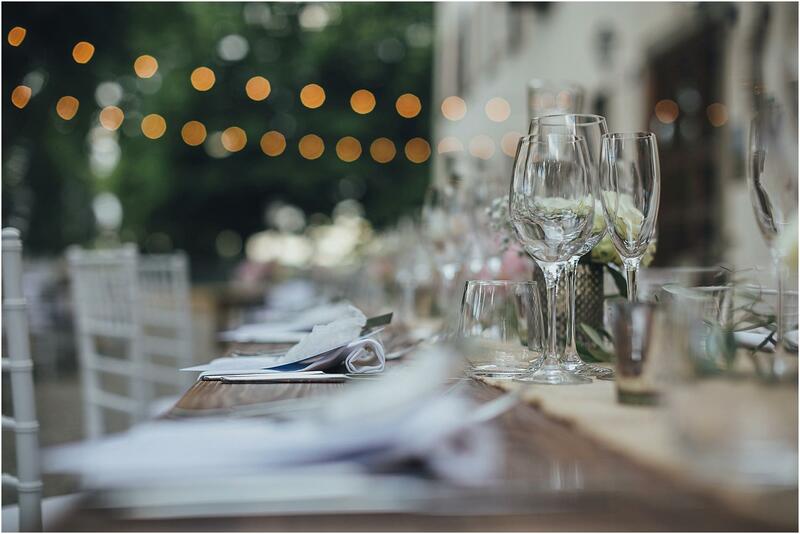 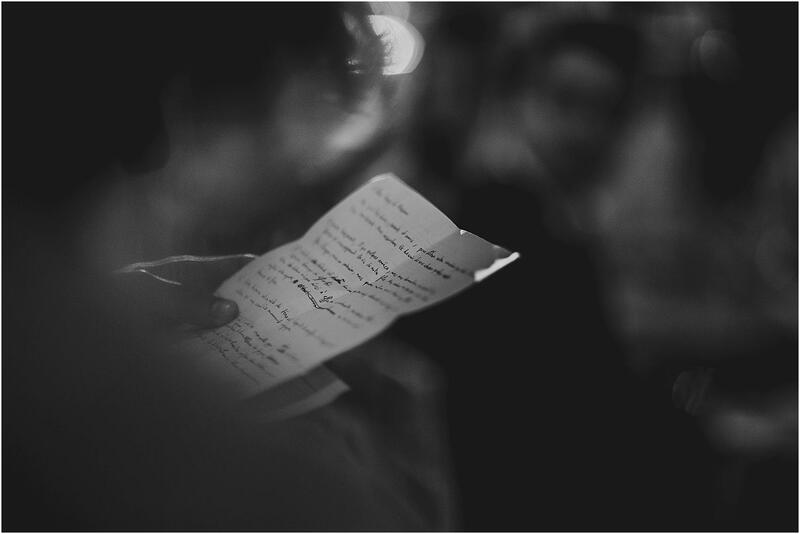 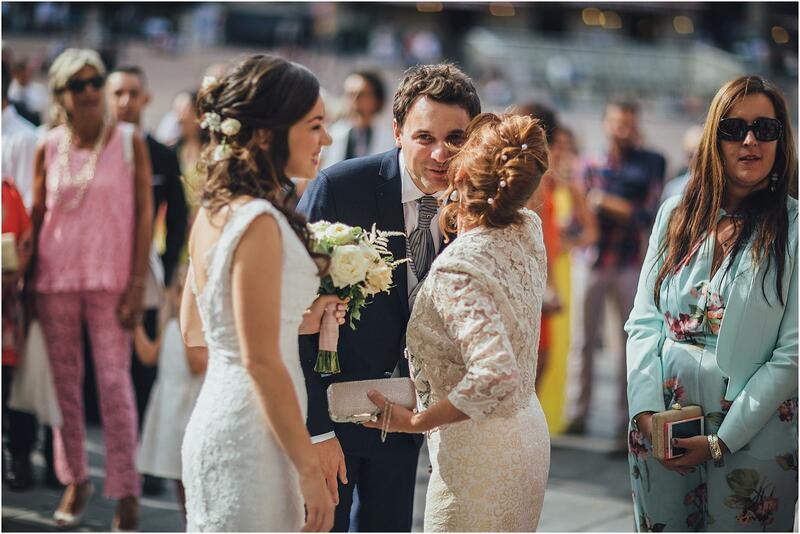 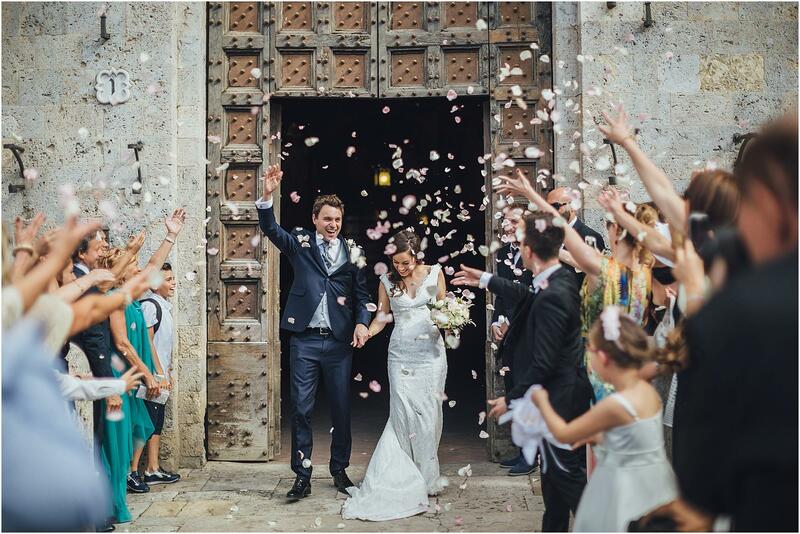 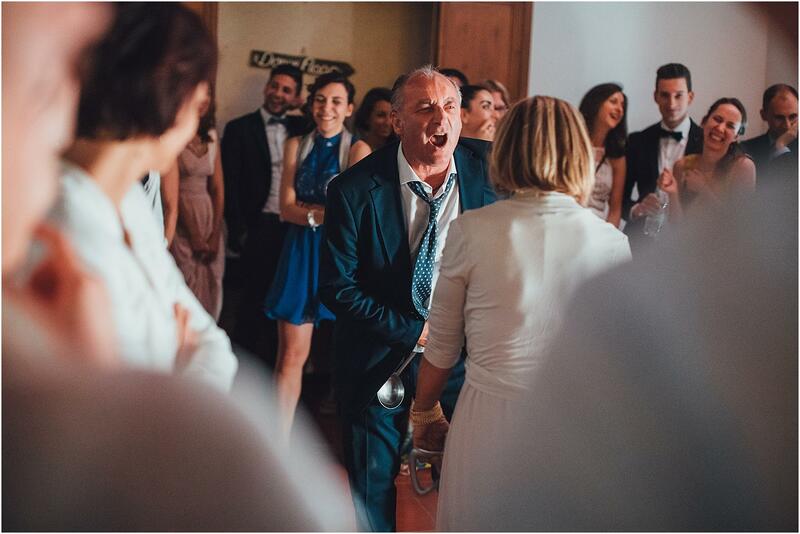 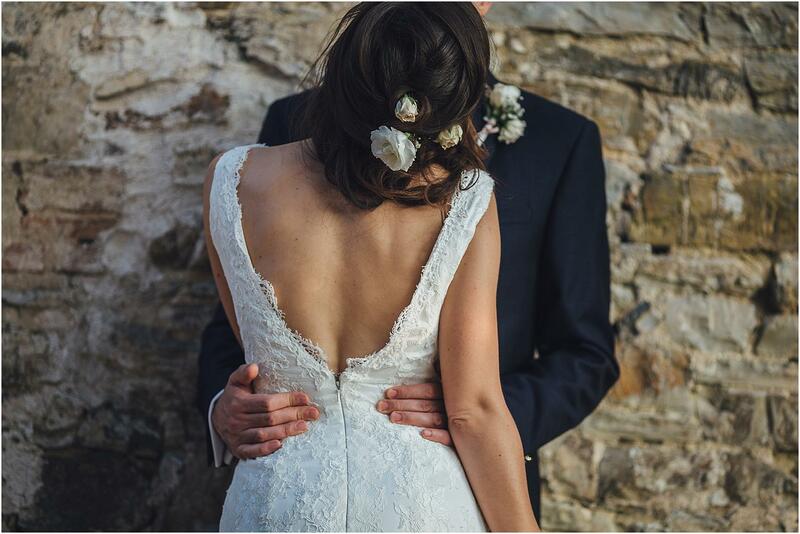 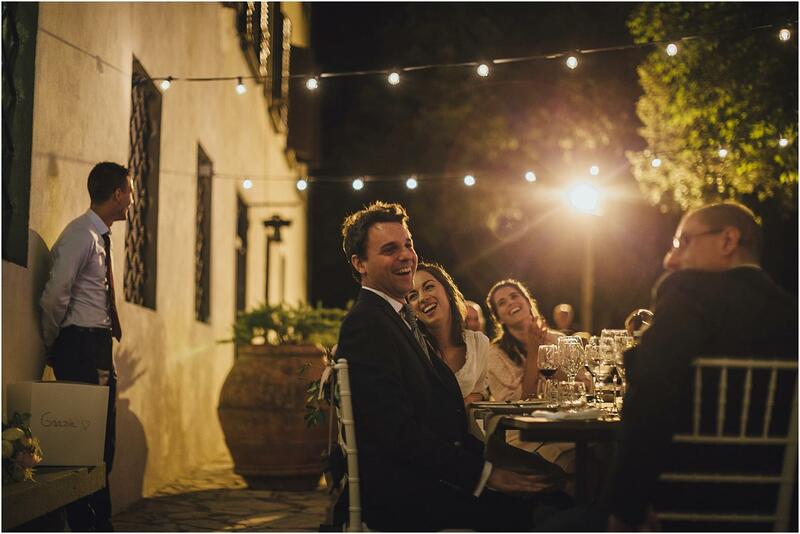 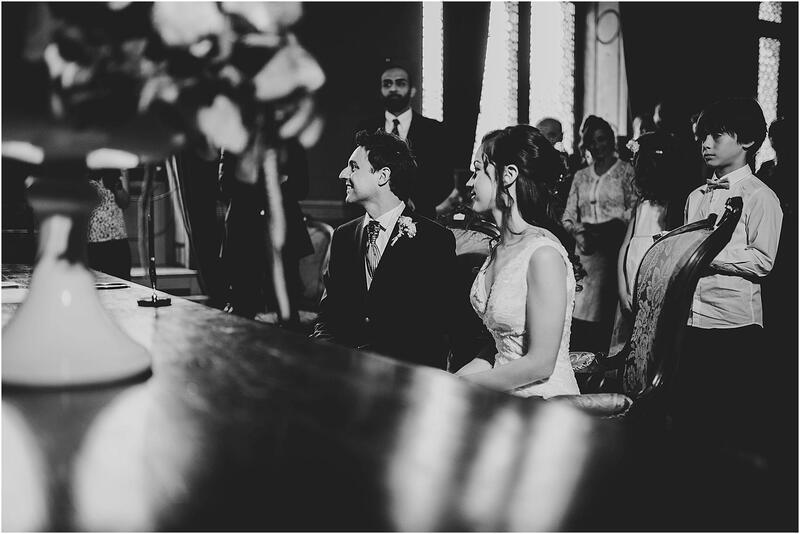 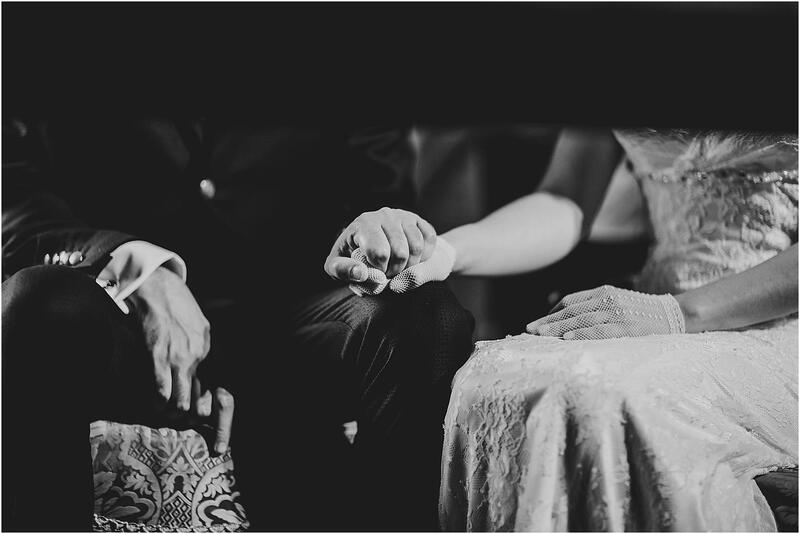 We always watch these images with great pleasure, as they remind us of the magic of that day spent with the couple, their guests and the excellent staff who helped organize this wonderful wedding. 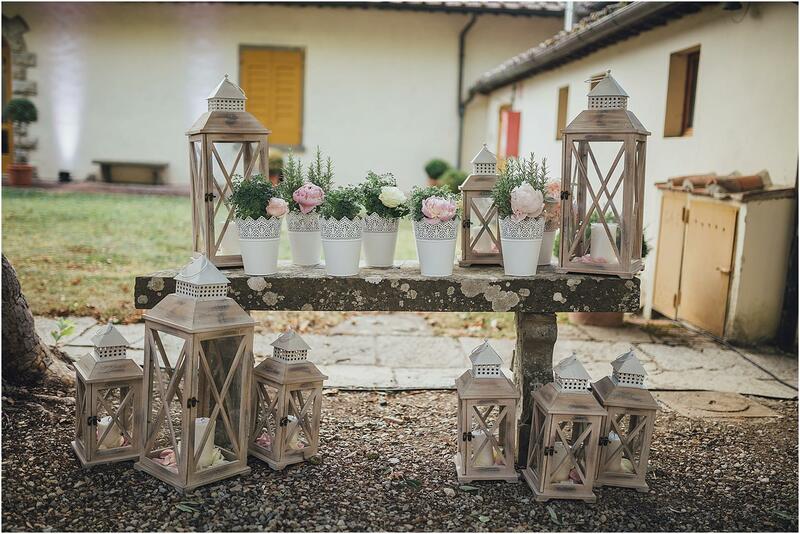 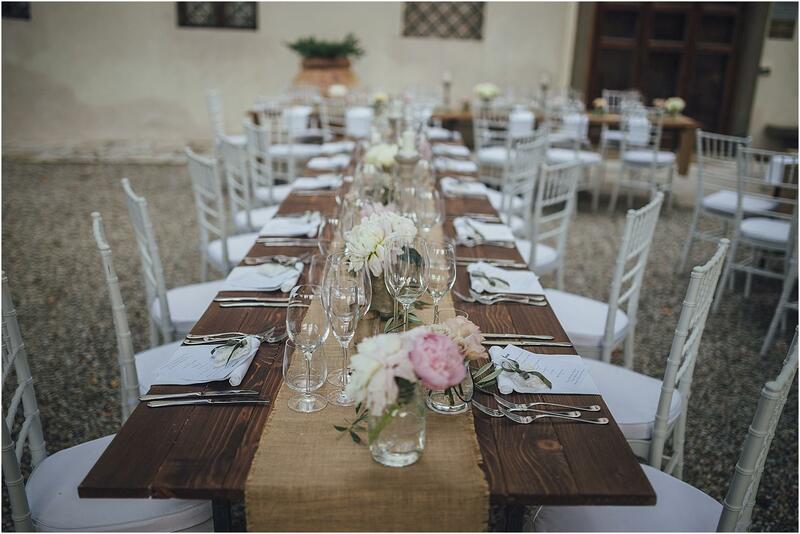 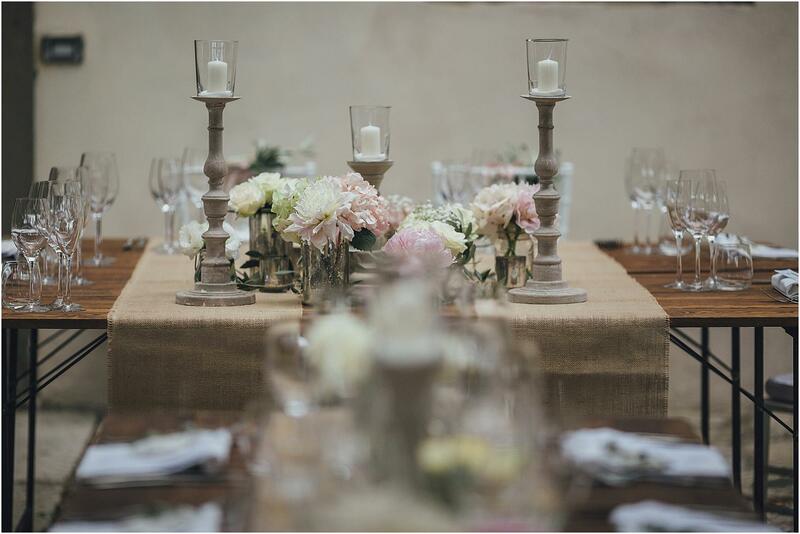 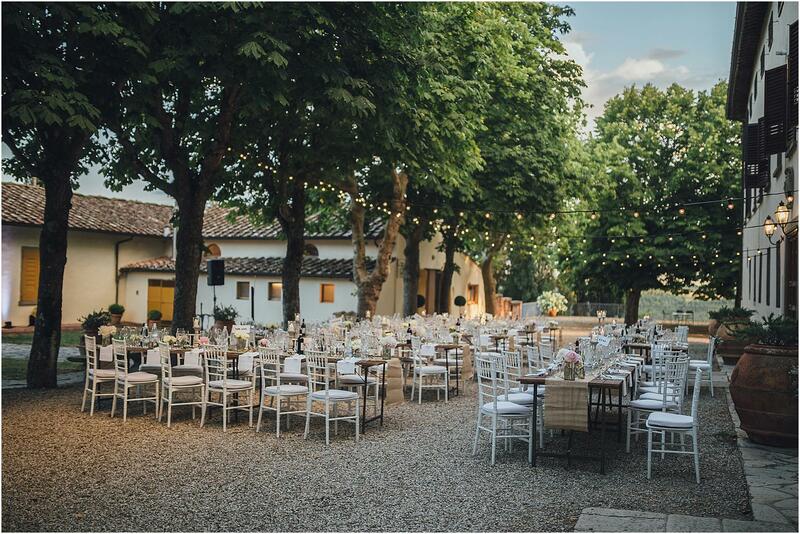 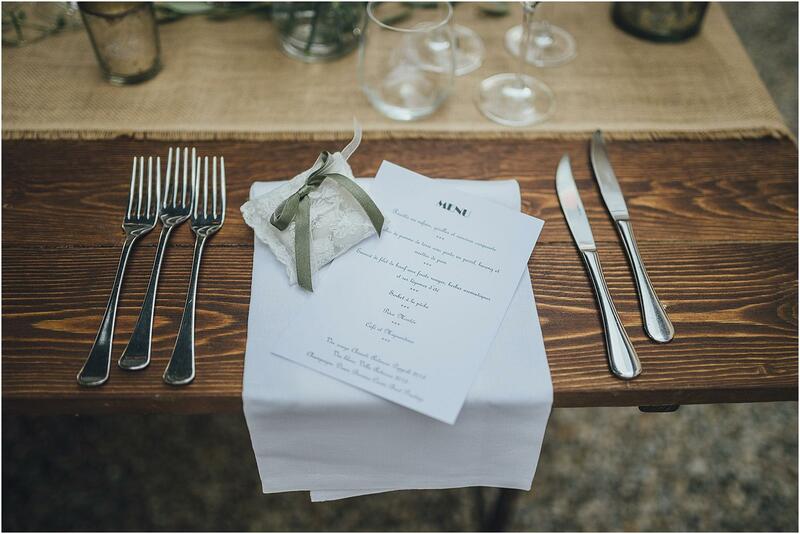 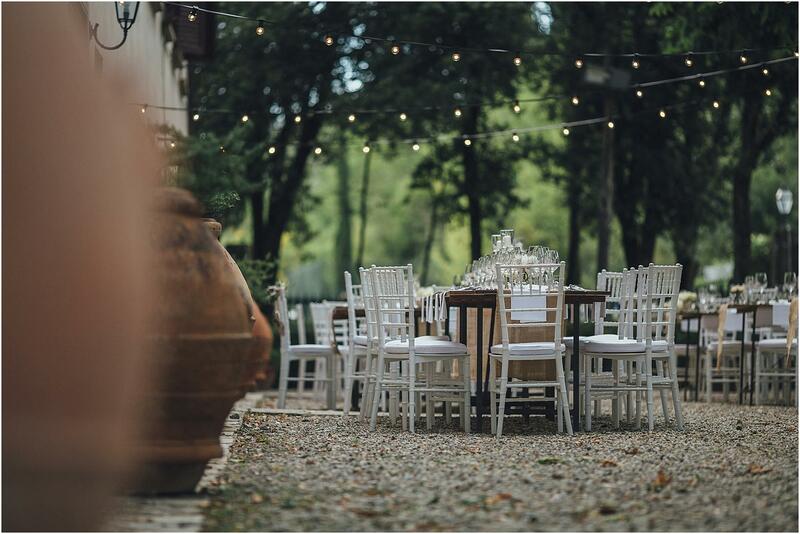 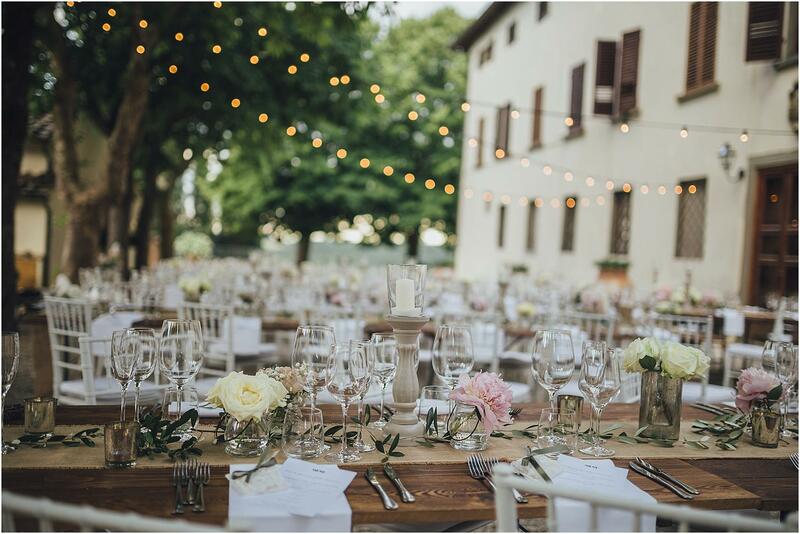 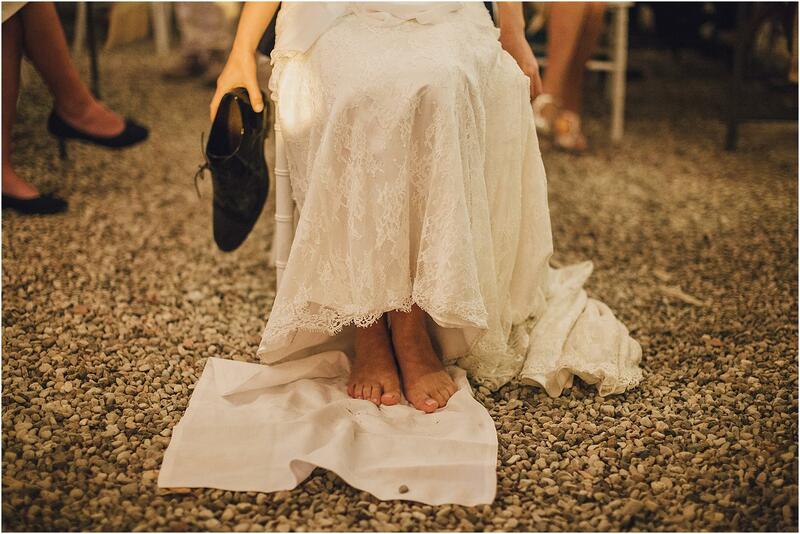 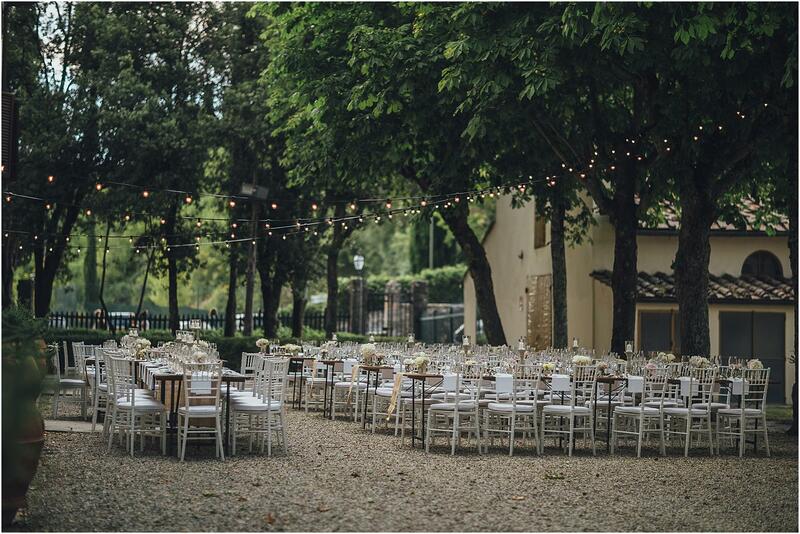 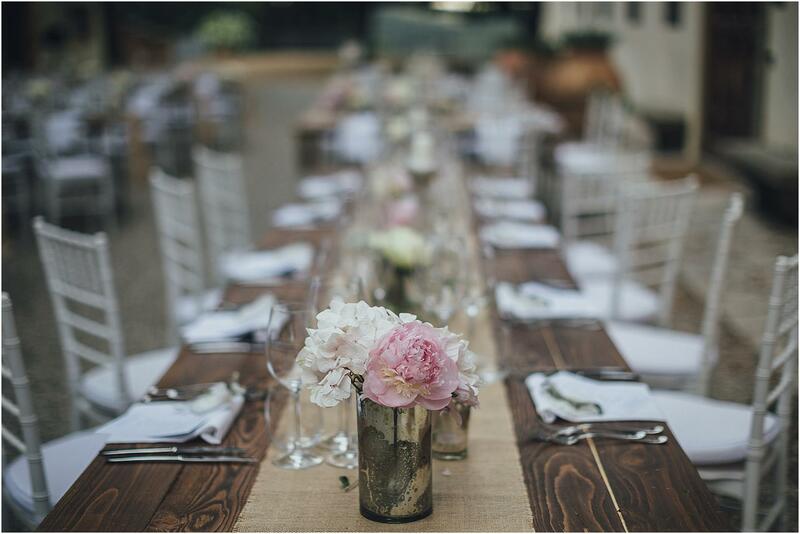 A perfect wedding under all points of view: the unique location, the adorable fittings shabby chic style, the mise en place of the tables in perfect “tuscan” style; in short, a set of details that helped to make special the day of Fanny and Massimo. 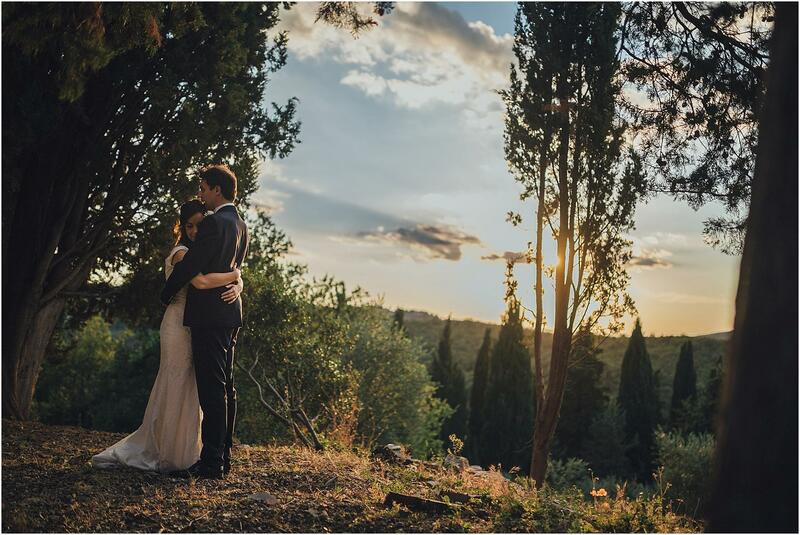 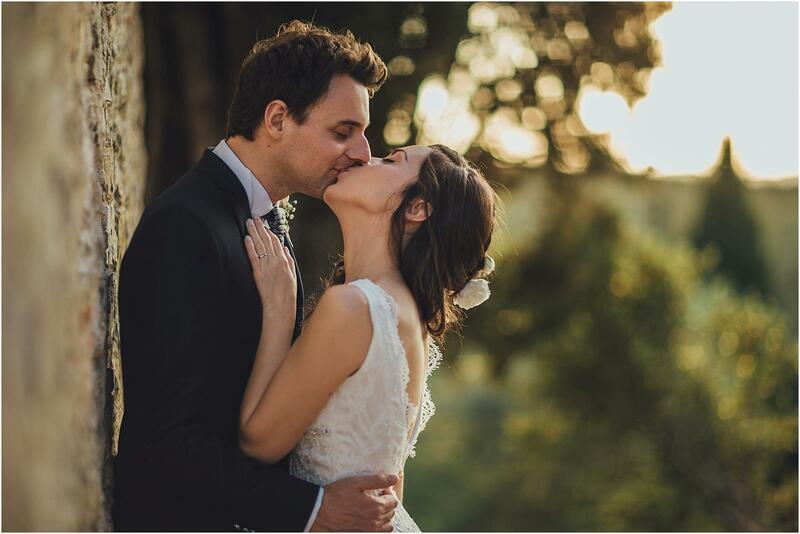 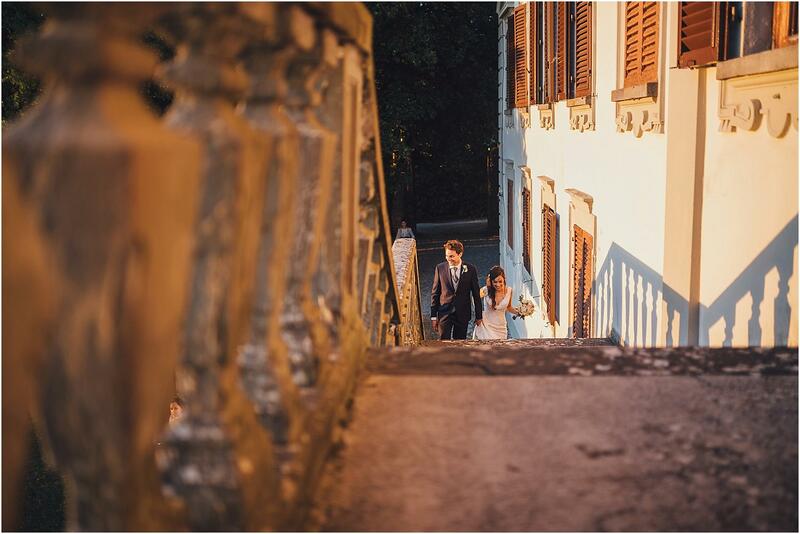 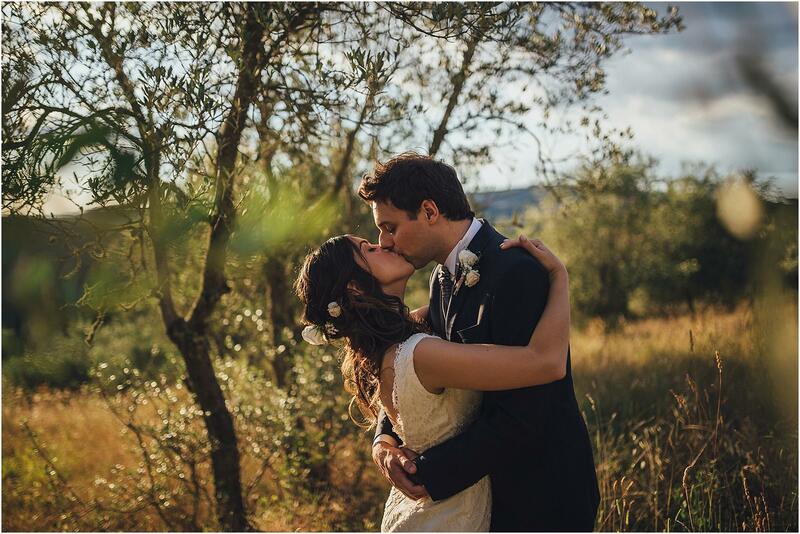 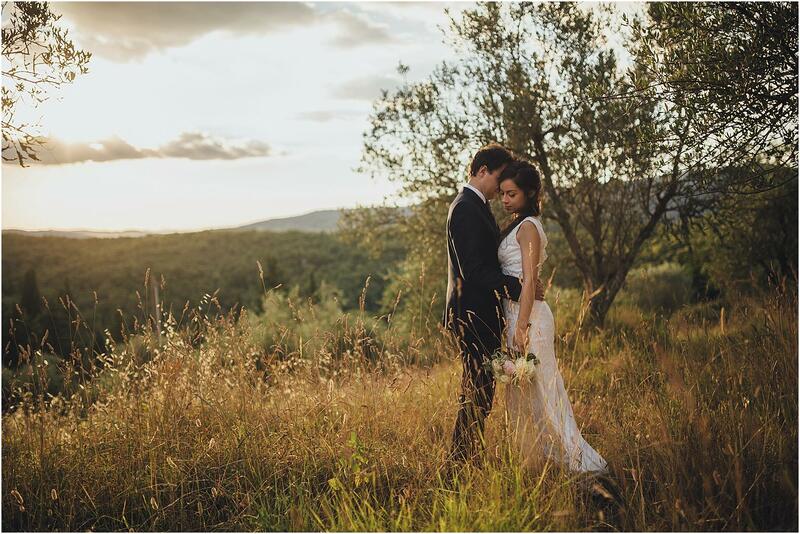 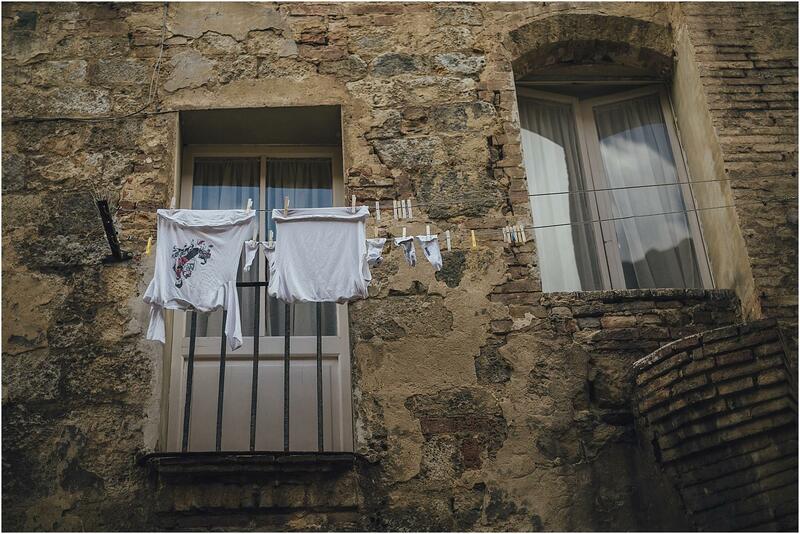 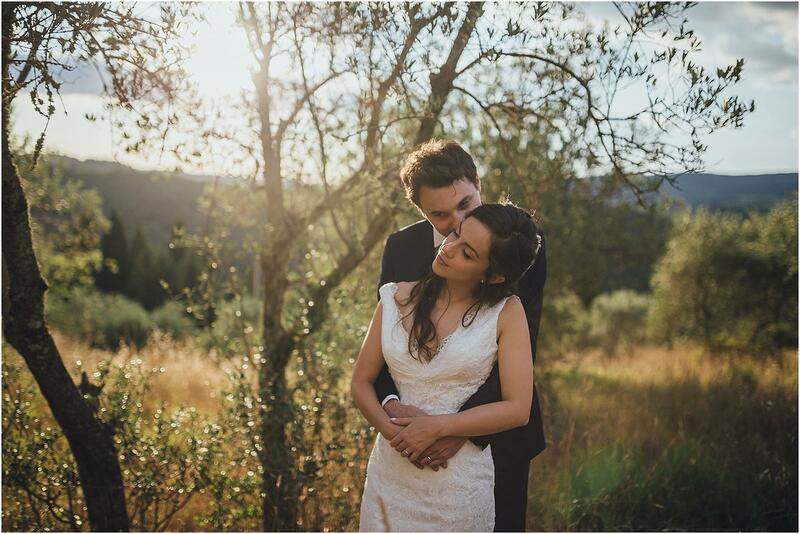 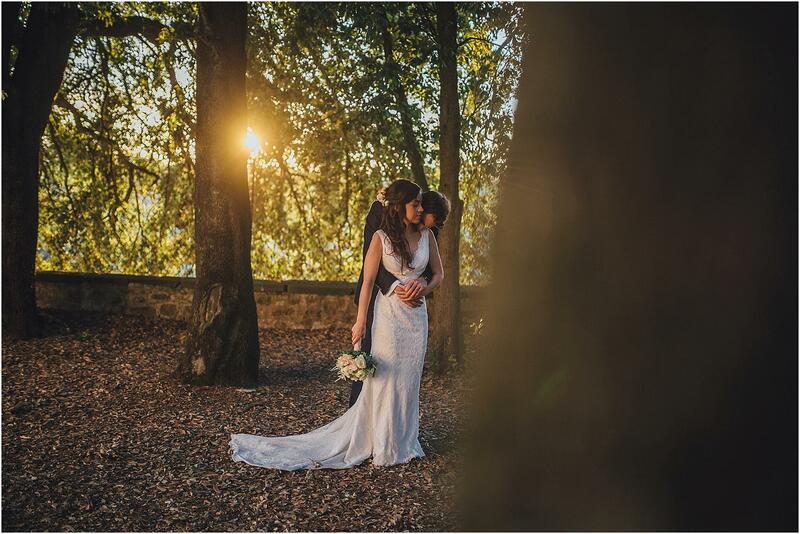 It was almost too easy to realize this photo service, and in particular the couple portrait session… Fanny and Massimo were exquisite with us and the pictures speak for themselves, giving back the image of a couple deeply in love, who can’t wait to start a new life journey together. 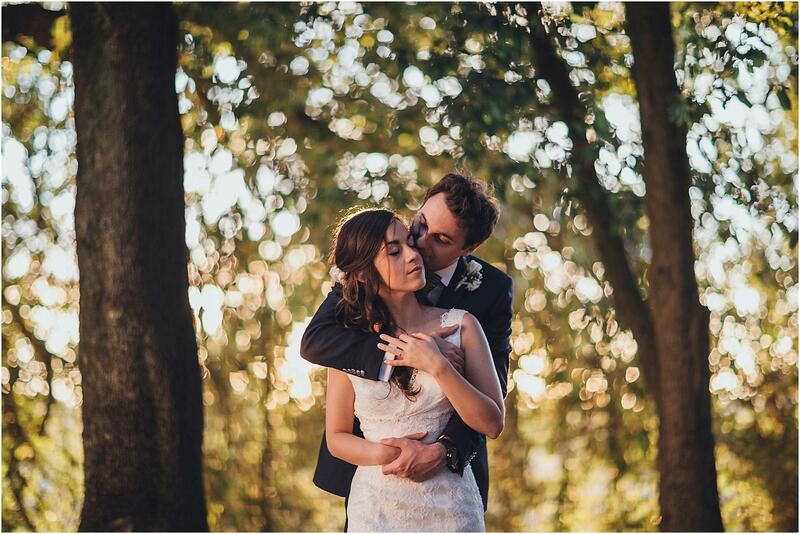 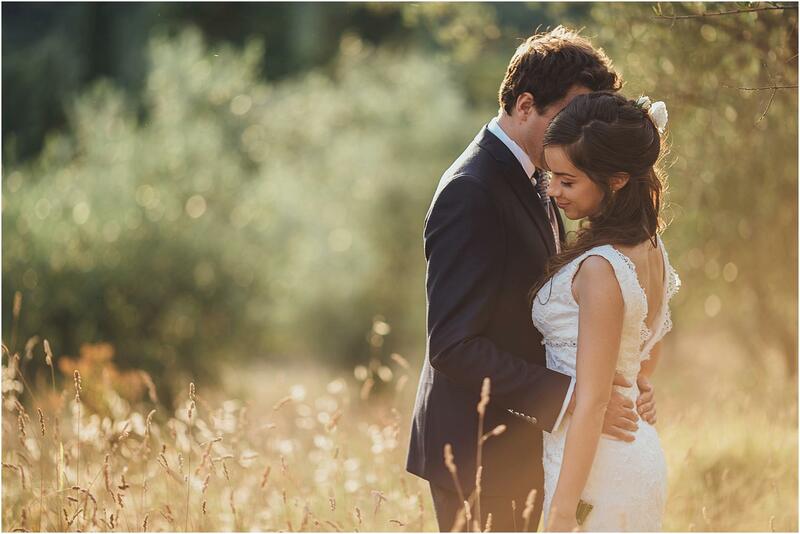 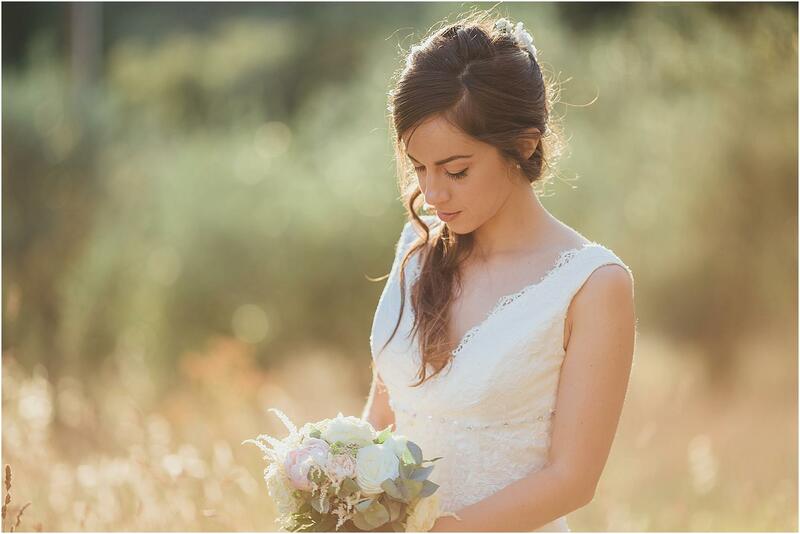 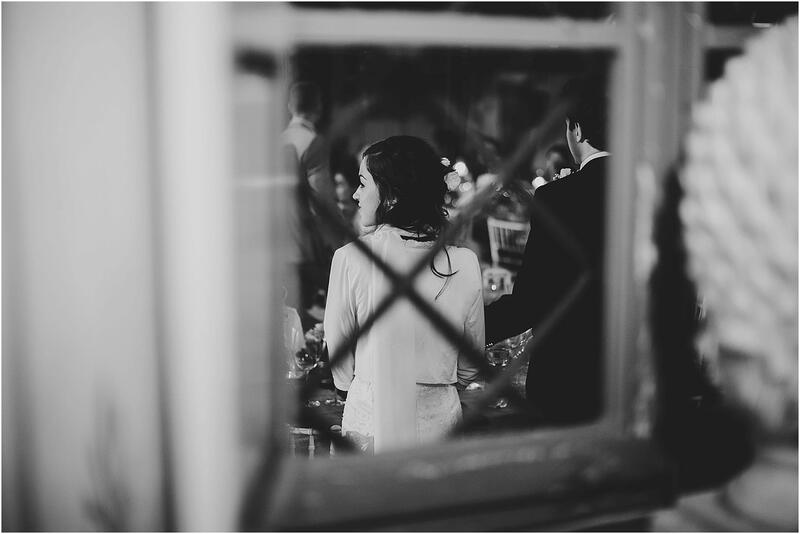 This wedding shoot has been published on the wedding blog Wedding Wonderland. 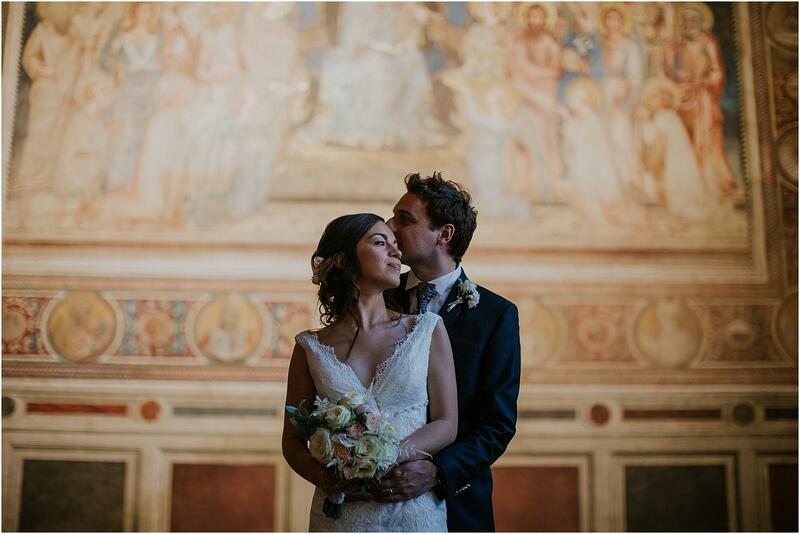 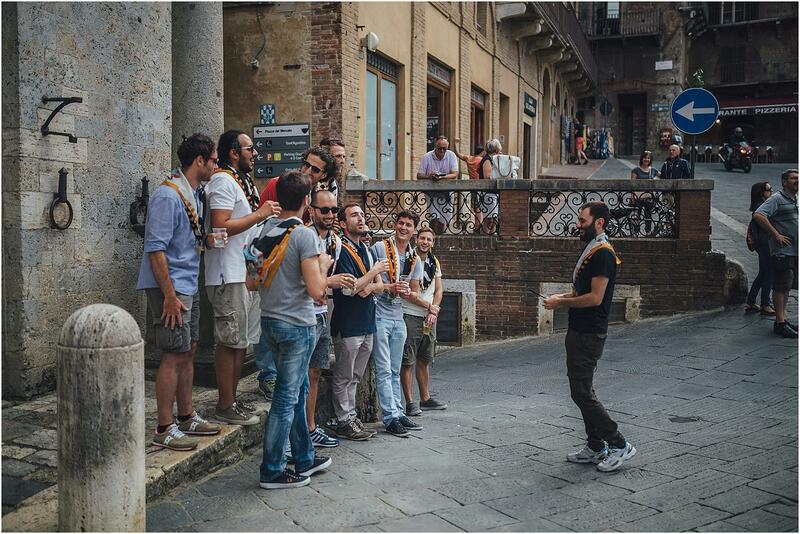 thanks to Massimo, Fanny, and to this amazing team!